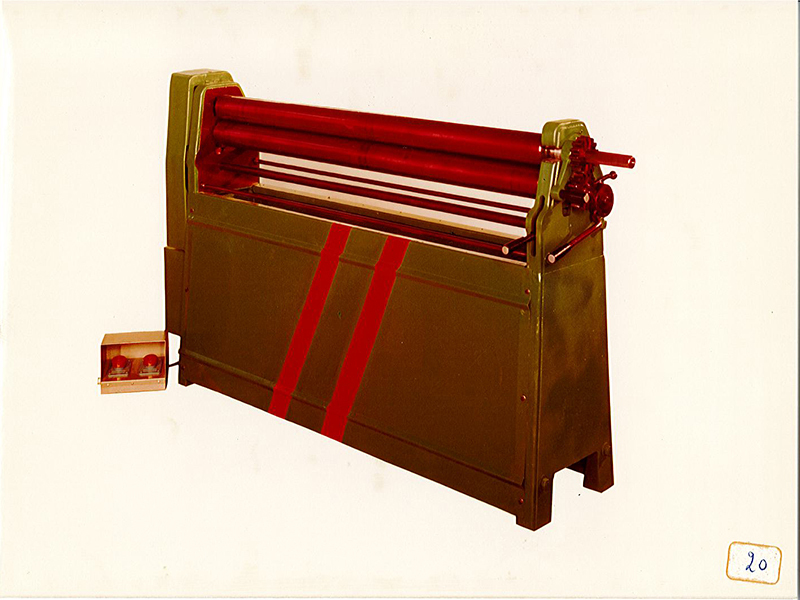 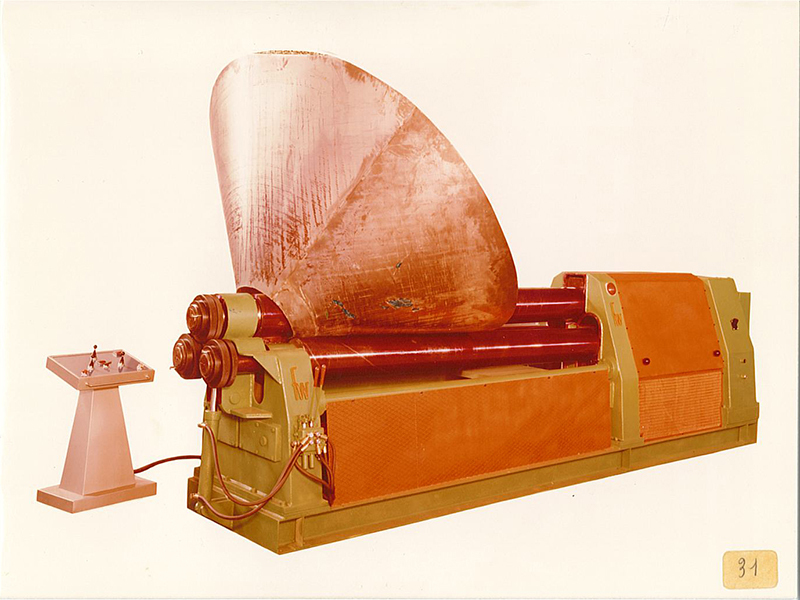 Faccin S.p.A. is one of the world leaders in the design, manufacturing and sale of plate and angle rolls, dished heads machinery and special machines. 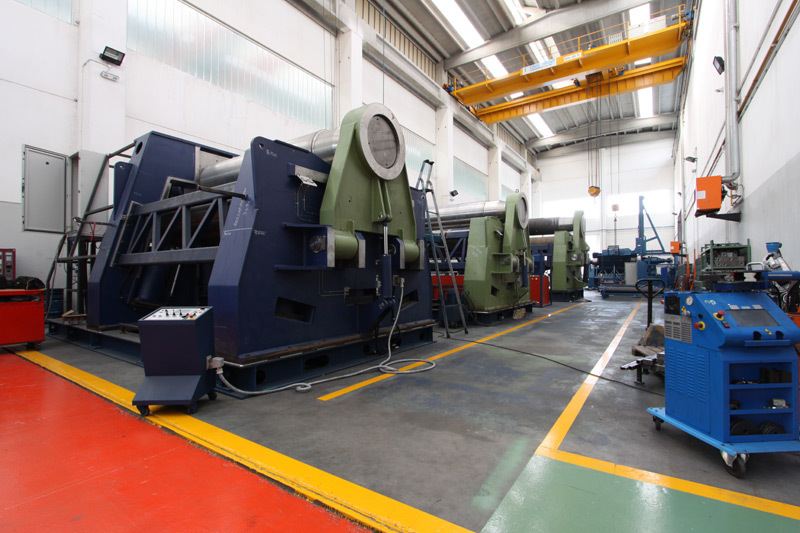 With a technologically advanced production and certified UNI EN ISO 9001:2015, Faccin is the largest production facility in the world of bending systems and plate bending machines. 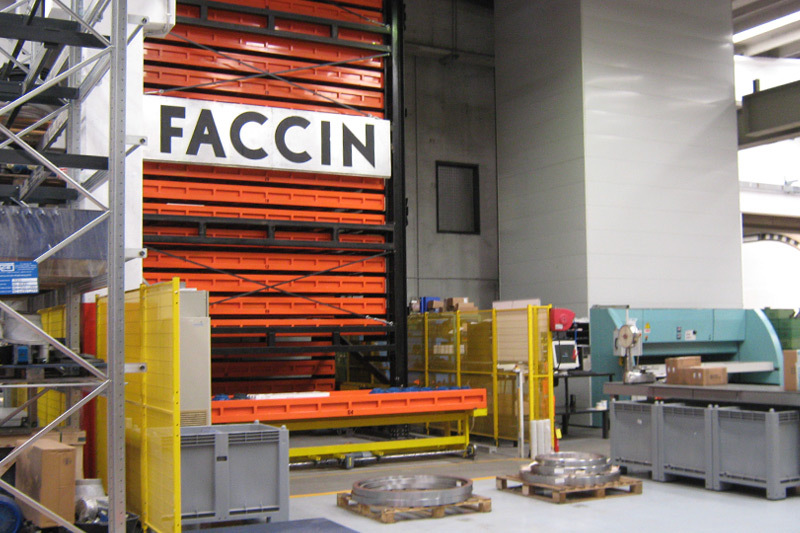 Through an extensive network of subsidiaries, Faccin provides thorough sales and after-sales service worldwide. 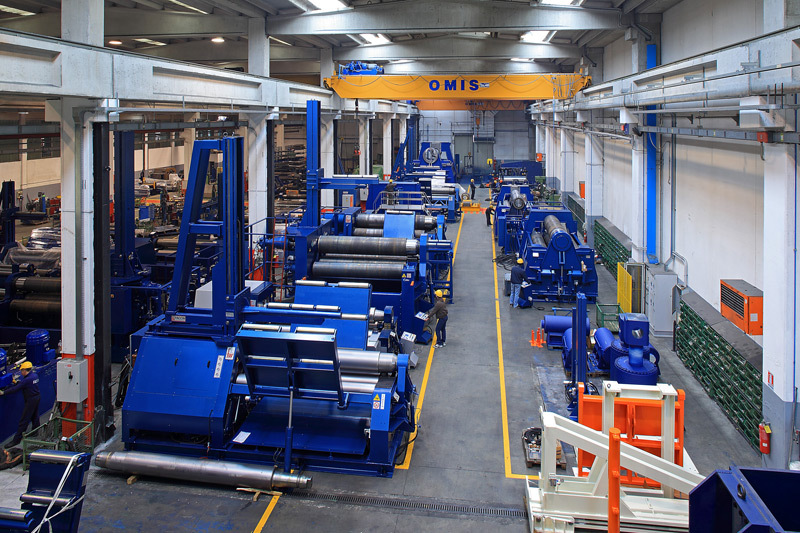 We believe in producing high-quality bending machines that help fabricators worldwide maximize their benefits by satisfying their present and future fabricating needs. 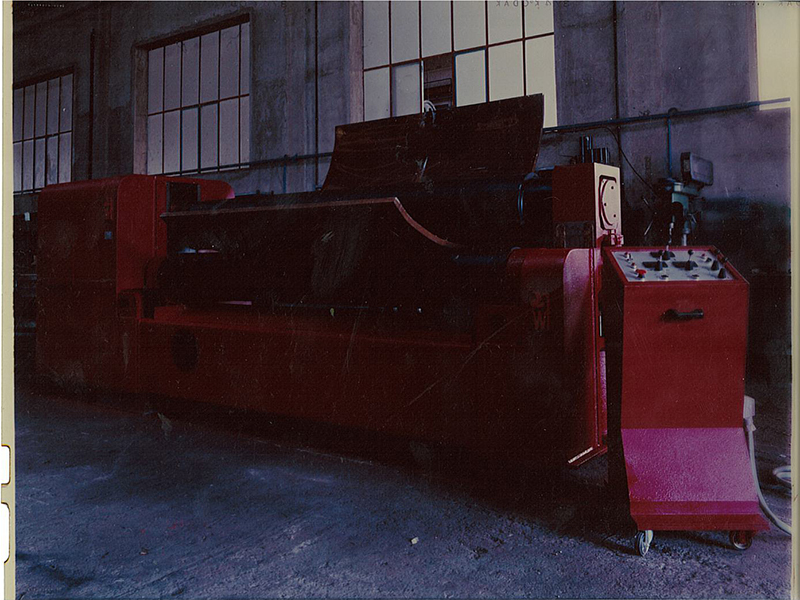 We believe we can make machines others can only dream of. 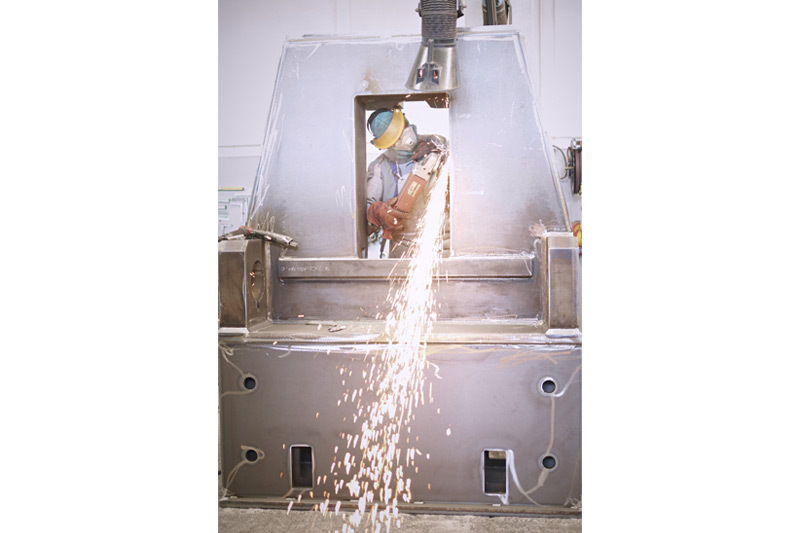 We believe in keeping our design and manufacturing capability in-house, so we can fully guarantee the quality of every machine. 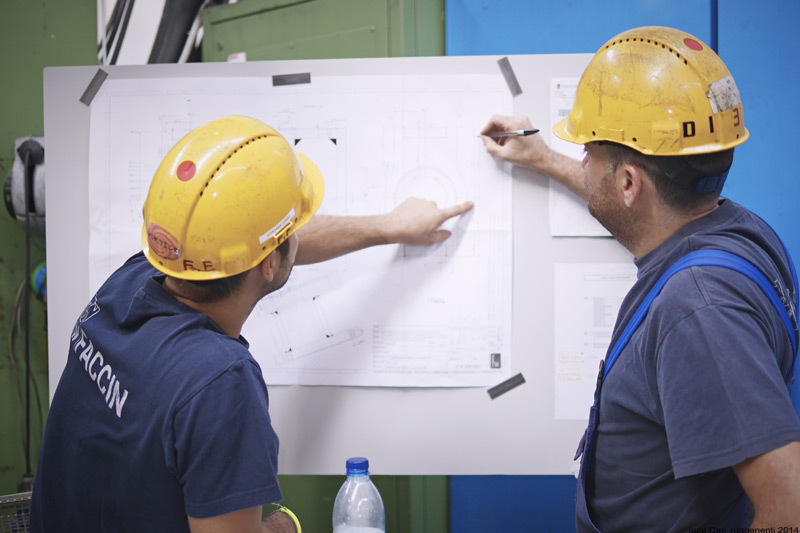 We believe in saying no to projects we do not specialize in. 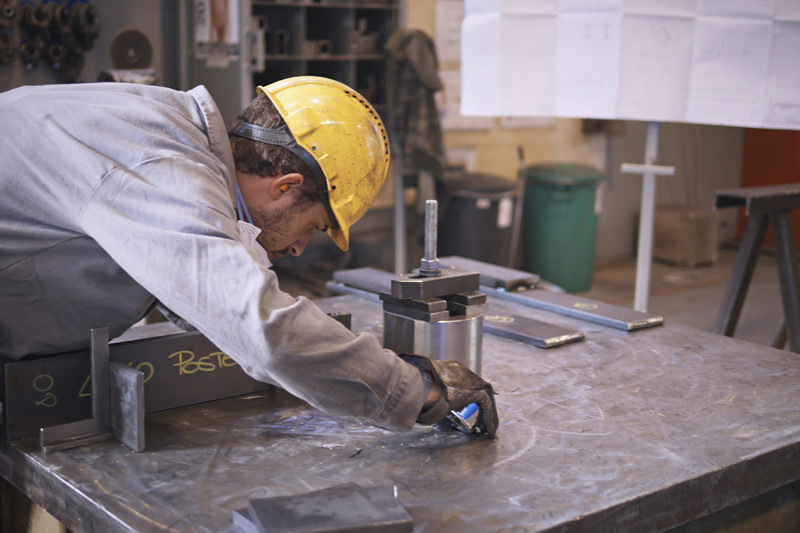 We believe in deep collaboration with our customers and suppliers so we keep innovating and stay up-to-date with the latest production needs. 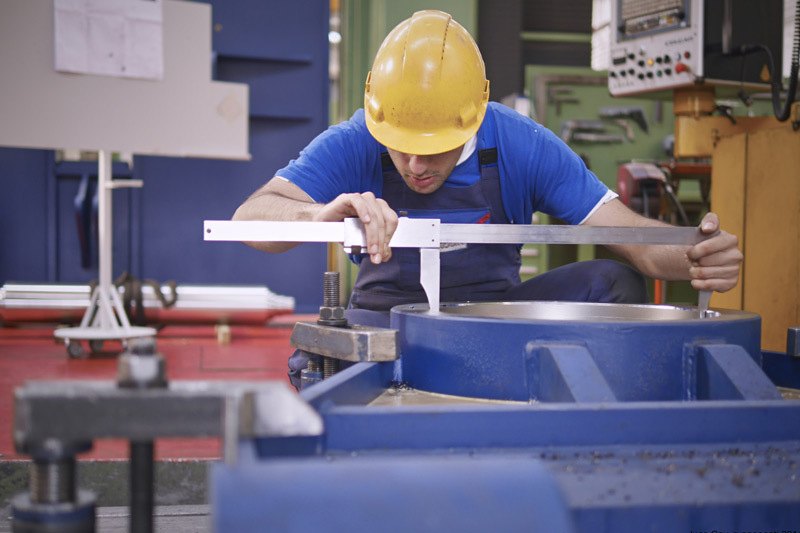 We believe in our people so we can give the best service in the industry. 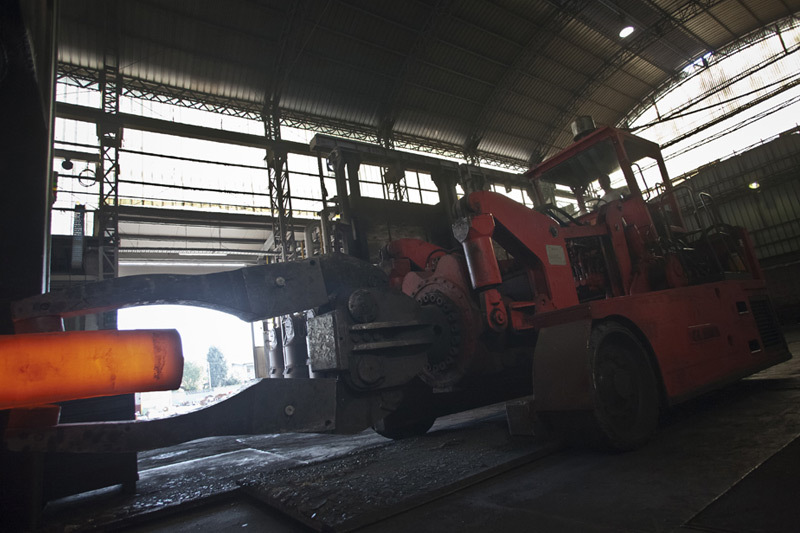 We believe the success of our clients is our success. 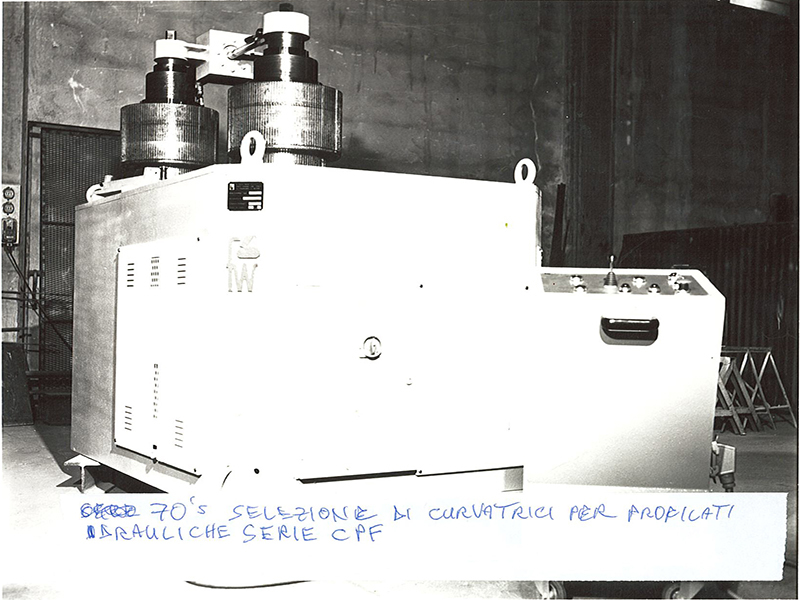 Mr Walter Faccin founded the company Faccin Srl. 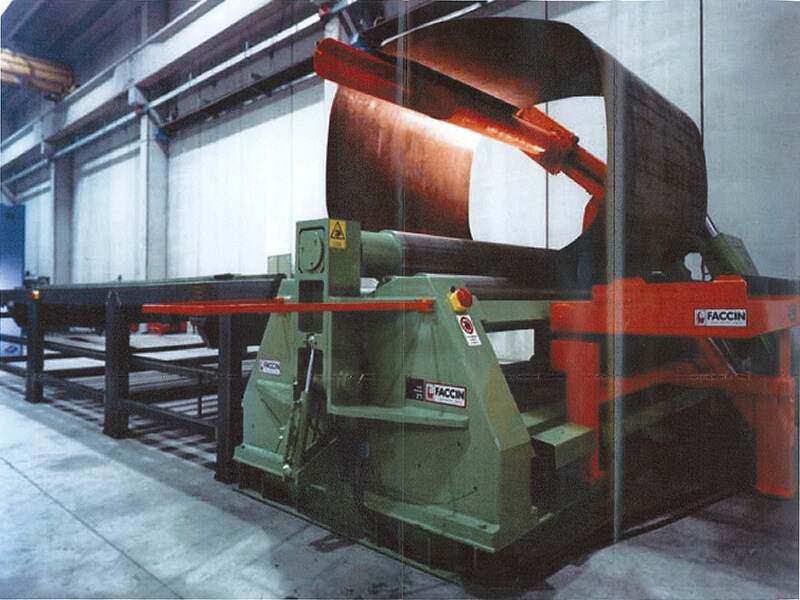 Production starts of 3-roll mechanical pyramid plate bending rolls without initial pinch (SI series) and with initial pinch (ASI series)..
Faccin expands its offer: bending rolls become with pre-bending (CI series), 4 rolls (4CI series), with hydraulically controlled movements (HCI series). 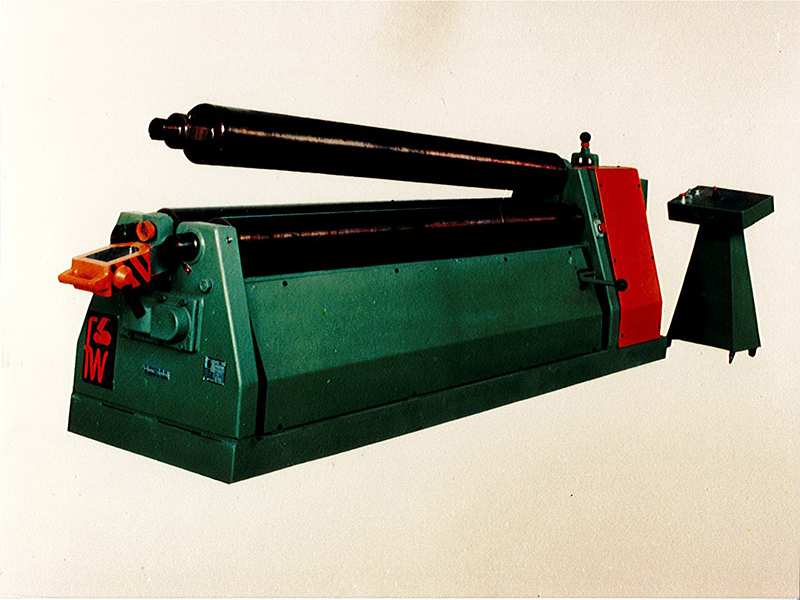 2-roll bending rolls are added with rubber roll (HCU series), 3-roll variable geometry (HAV series), pipe bending machines (CPF series), dished head production lines (BF – PPM series). 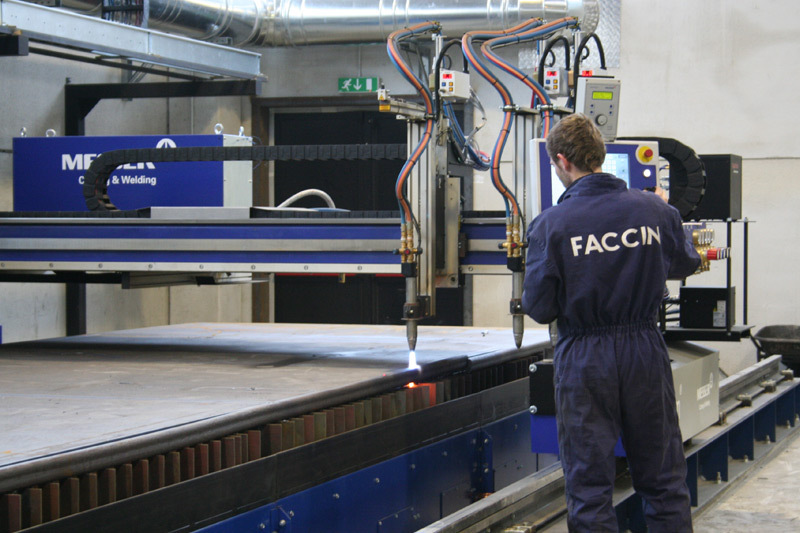 Keeping abreast with new market demands, Faccin seeks new solutions in the field of automation of production processes. 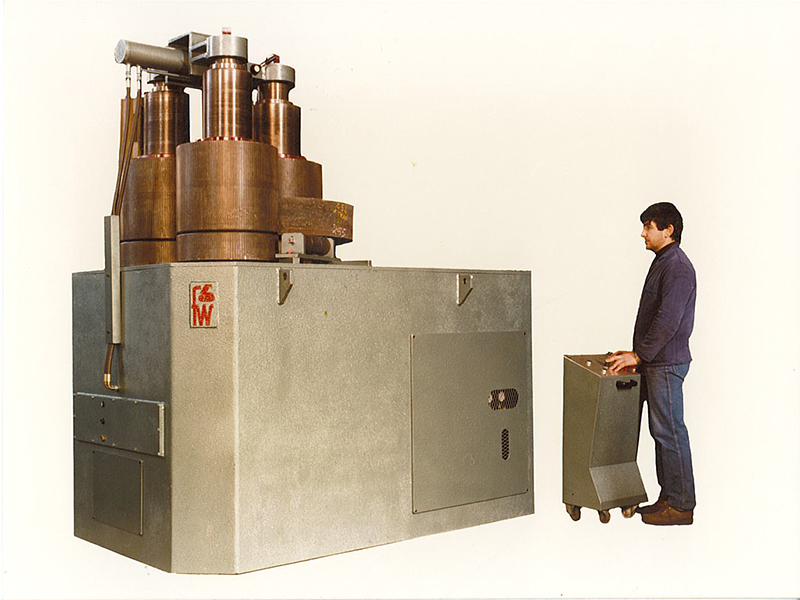 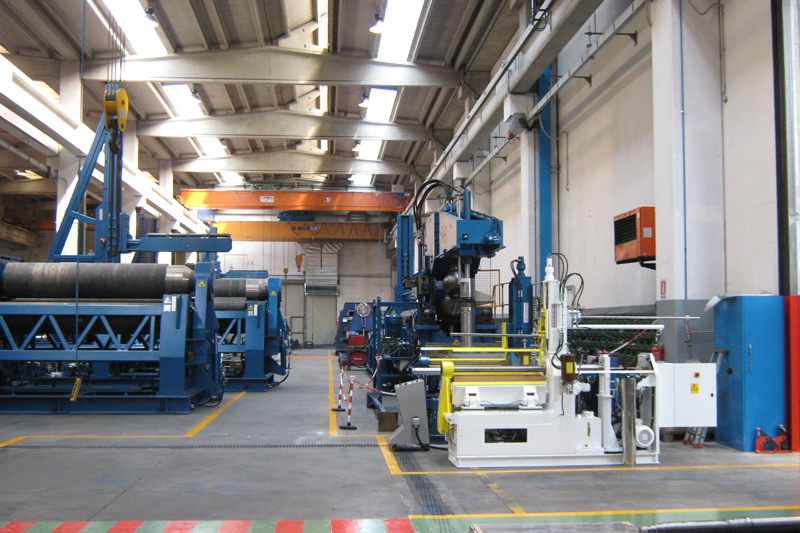 The angle rolls evolve into the RCM and RCMI series (with universal rolls)..
To increase the precision and reliability of plate bending rolls and improve their competitiveness on the market, innovative technologies are applied: EPS, electronically synchronised rolls parallelism system – MCS, multi-bearing system – CNC, numerical control with automatic calculation of the working cycle and control of various interlocks such as controlled axes. 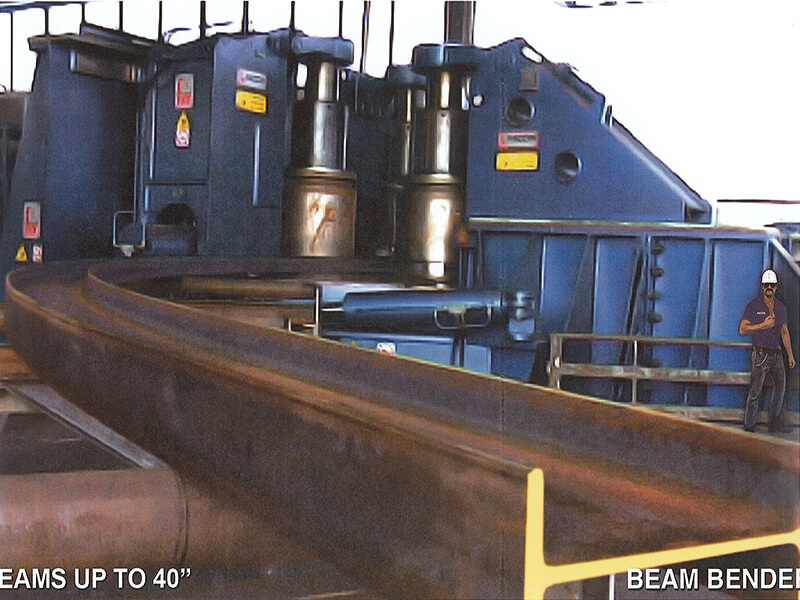 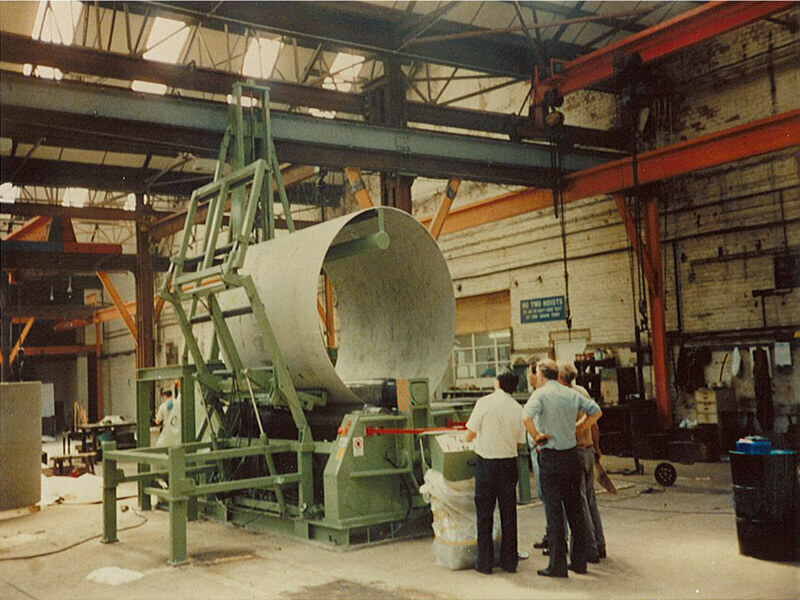 The company continues on the path of growth and innovation: Taurus angle rolls are produced for bending large beams; the CNC becomes an instrument integrated in the computer network; Teleservice is introduced for web-based after sales customer service.. 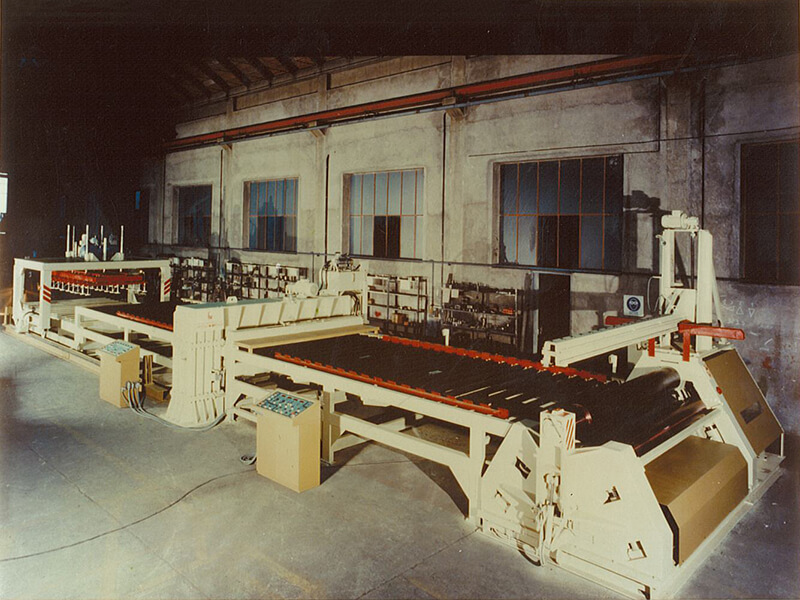 Specialist in the design, manufacturing and sale of plate bending rolls, profile bending machines, dished head machinery and special machines including ship frame bending rolls and presses, plate straightening machines, Faccin concentrates its production in Visano, in the Brescia province. 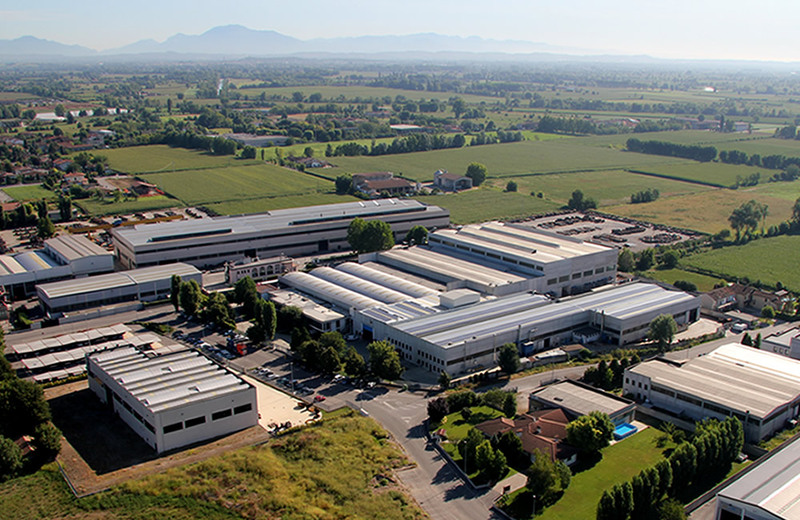 The Faccin facility covers over an area of 60,000 m2, of which 1,250 m2 occupied by offices and 15,000 m2 by the production facilities. 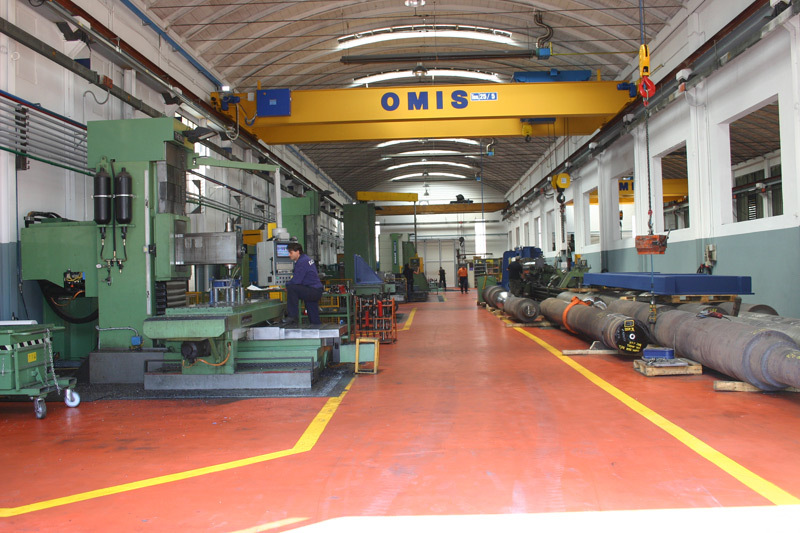 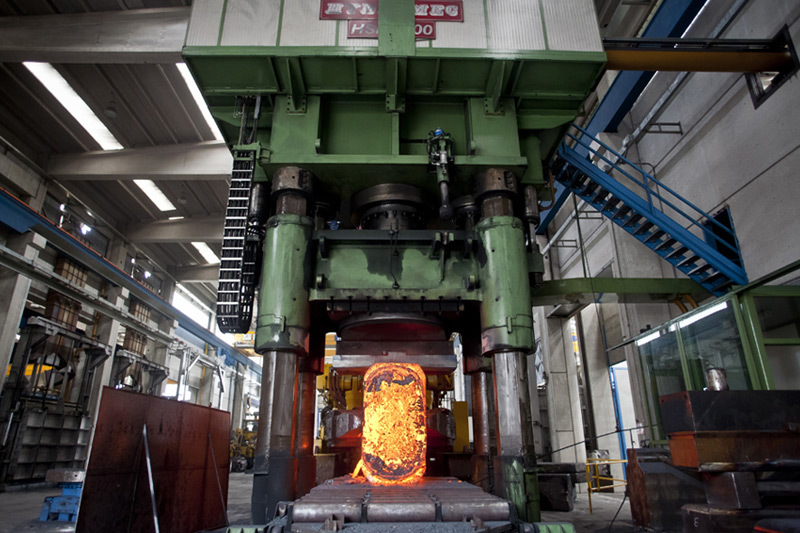 Using the latest technology, the company follows the construction of machinery at every stage, from receipt of the order to design by the in-house engineering department, from construction of electro-welded structures to machining of structures and forged rolls up to assembly and shipping. 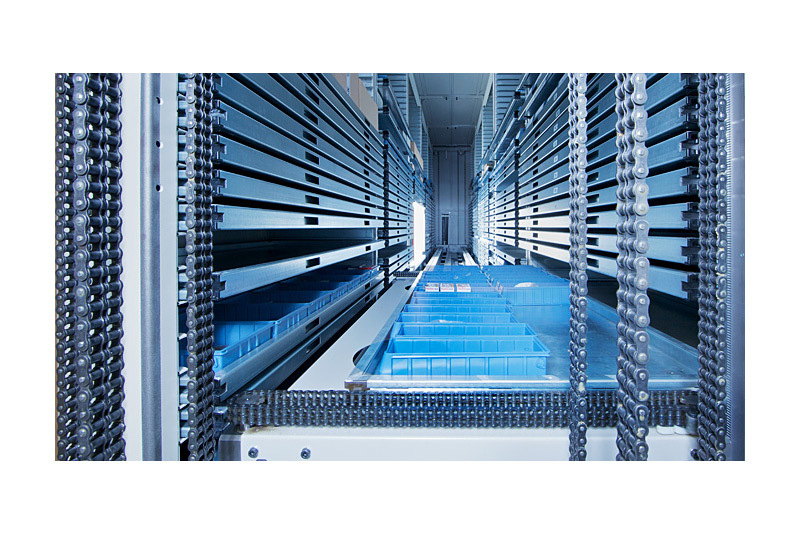 The company’s engineering department team is responsible for design and development of Faccin products. 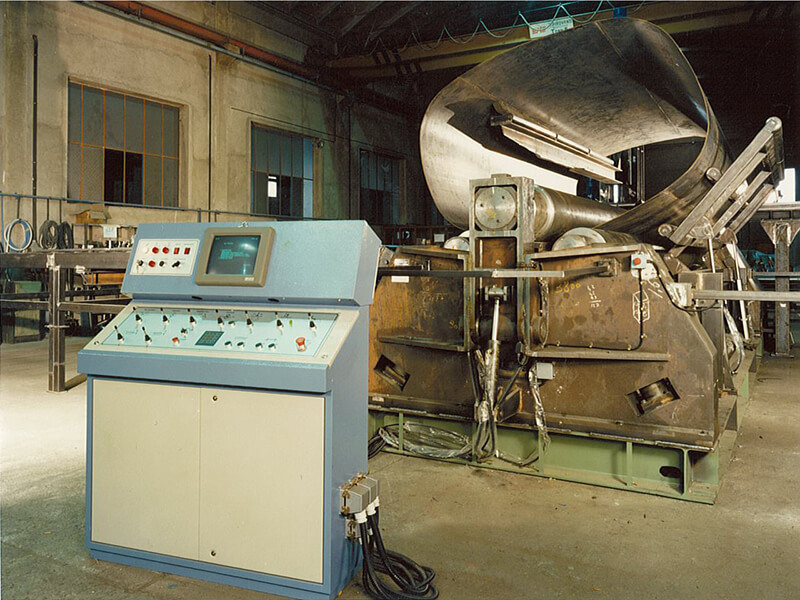 Using 3D CAD and 2D CAD systems and finite element methods (FEM) for structural design, the engineering department performs motion simulations, machinery structural and mechanical limit testing, creation and optimazation of BOMs, complete management of data flow to production. 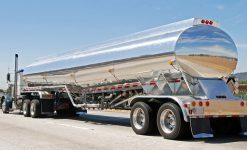 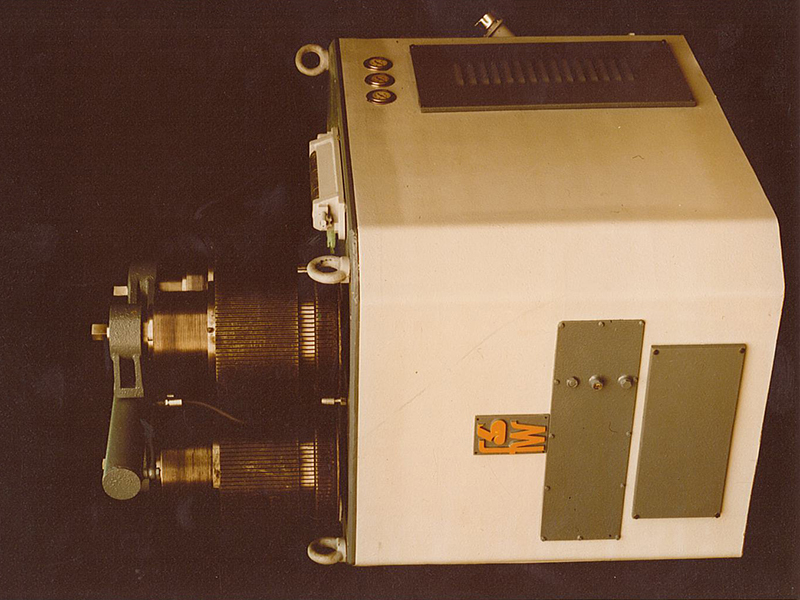 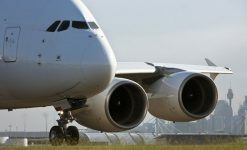 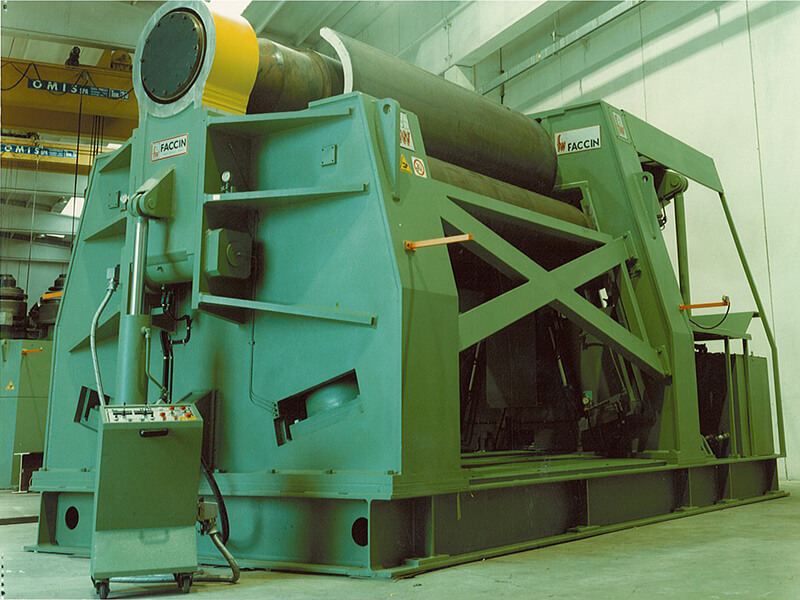 It also uses specific programs for the development and implementation of hydraulic and electrical systems to assure maximum effectiveness and durability of the solutions it offers. 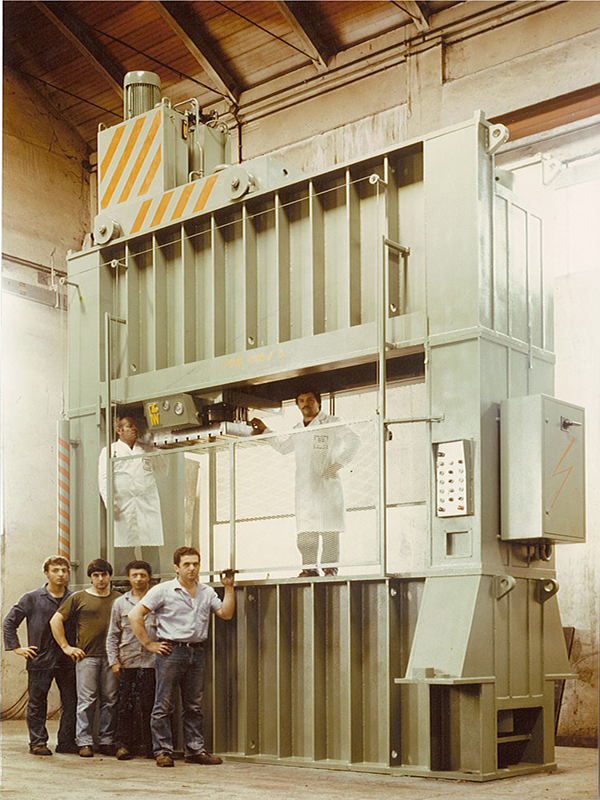 For the supply of high quality raw materials, Faccin relies on the cooperation of O.F.A.R. 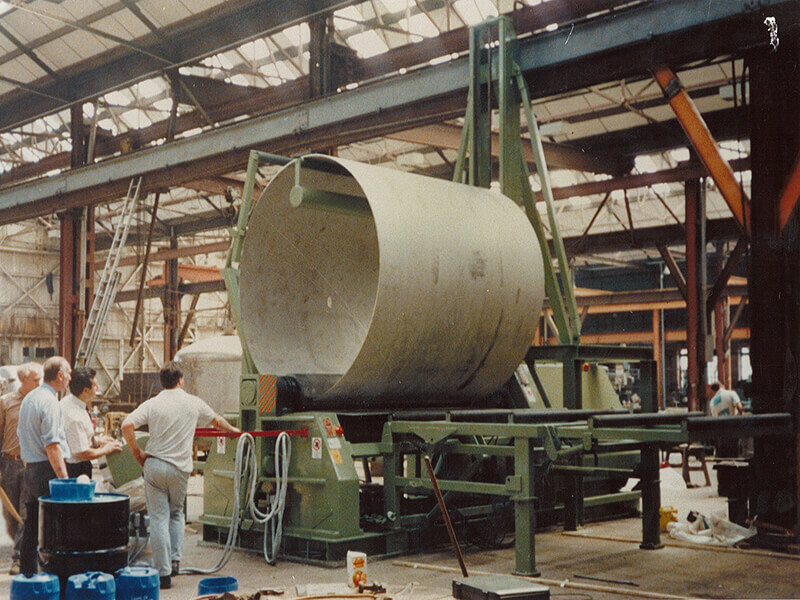 Spa, a company nearby specialising in metal forging. 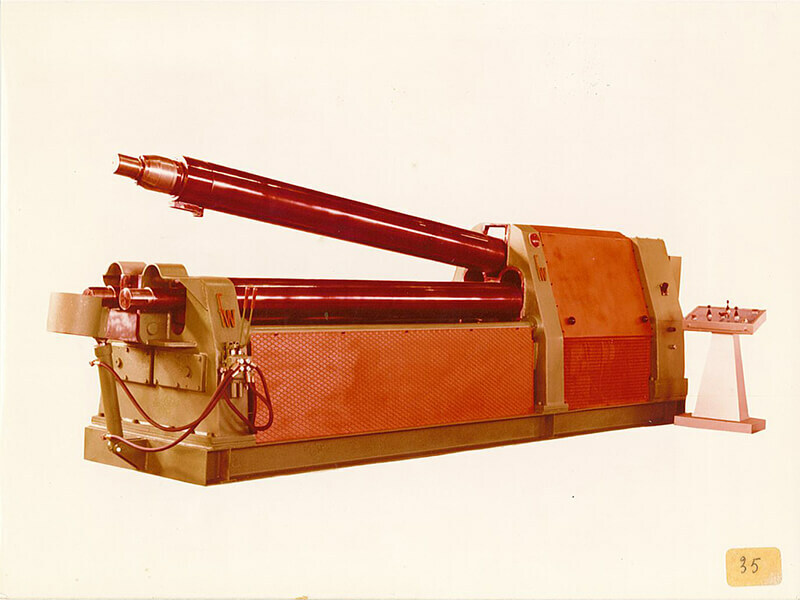 O.F.A.R. 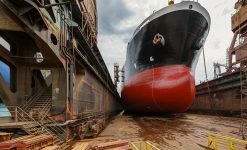 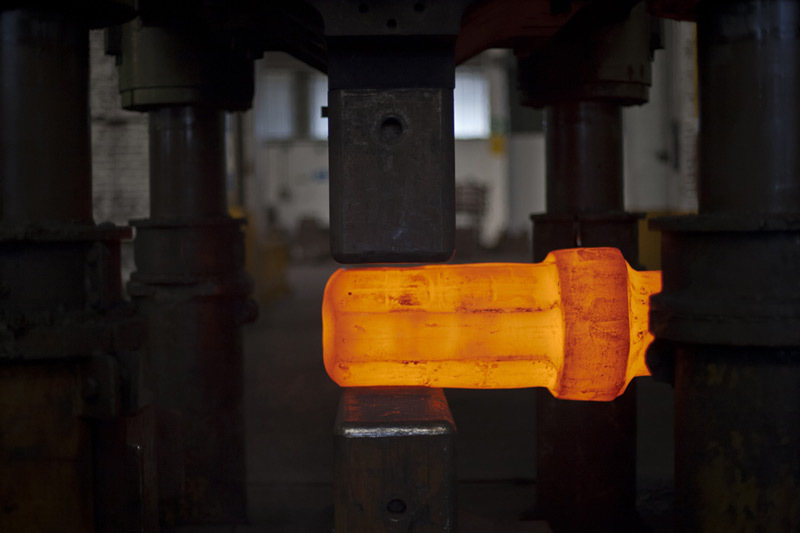 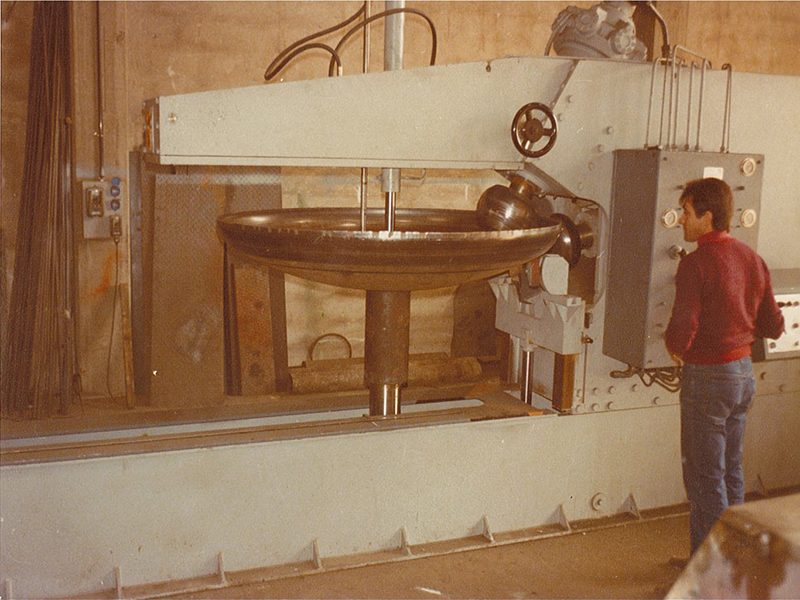 also supplies to Faccin heavy machined parts such as rolls and moulds for the manufacture of machine tools, masts for wind towers and crankshafts for ship building. 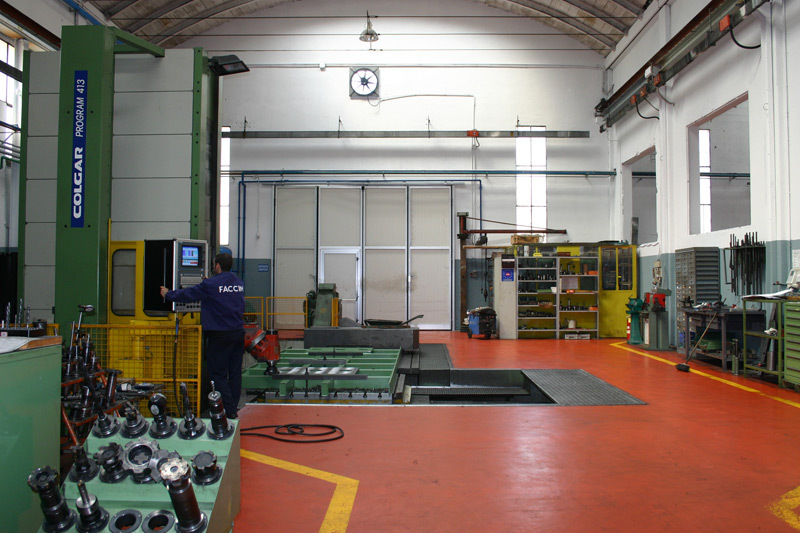 Among suppliers of forged parts, Faccin also relies on the cooperation of primary suppliers such as Saarschmiede (Germany) or SDF Società delle fucine of Terni (Italy). 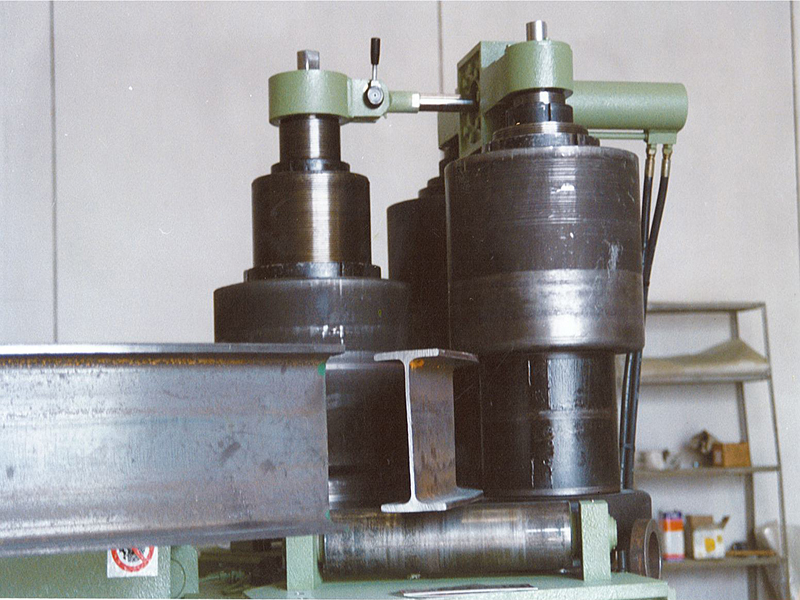 The plates and profiles from selected and certified suppliers are processed within the Faccin facility to be then used in the construction of machinery. 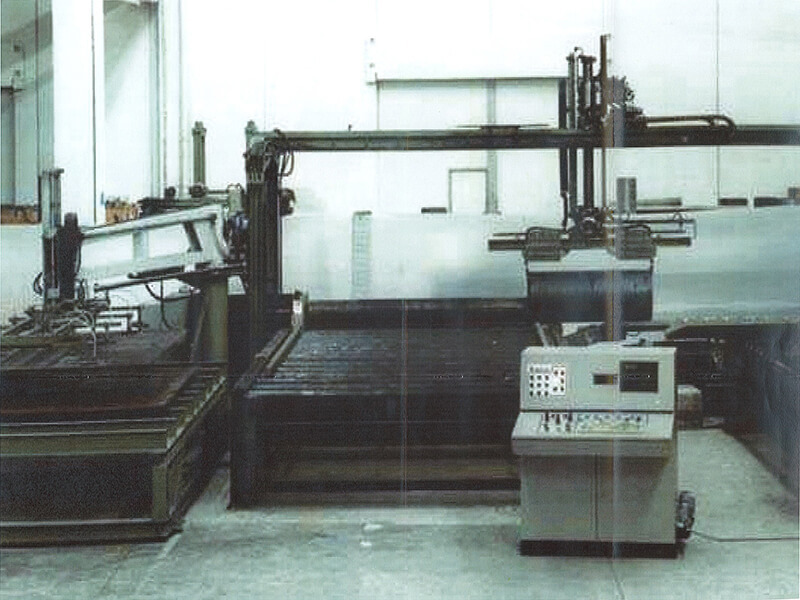 The personnel use the latest technologies to cut plates with thickness over 200 mm and profiles higher than 600 mm, and then proceed to assembling structures and machine frames. 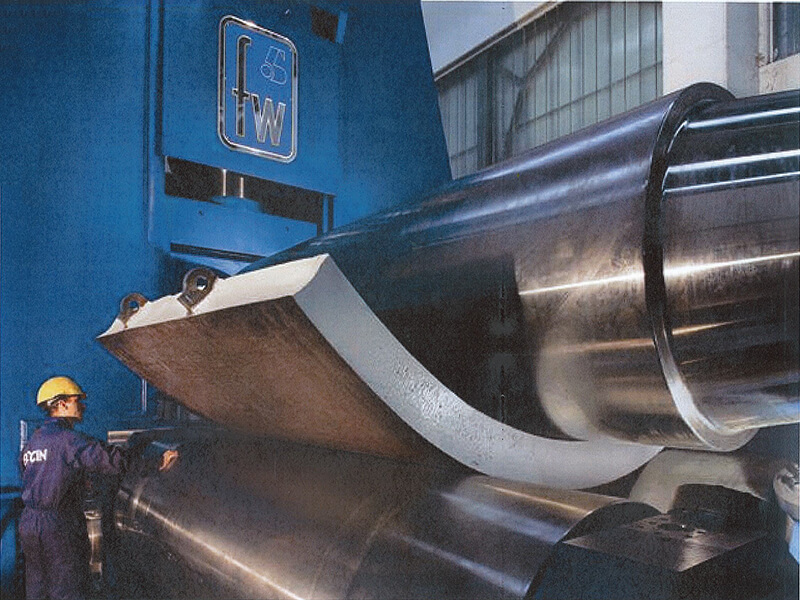 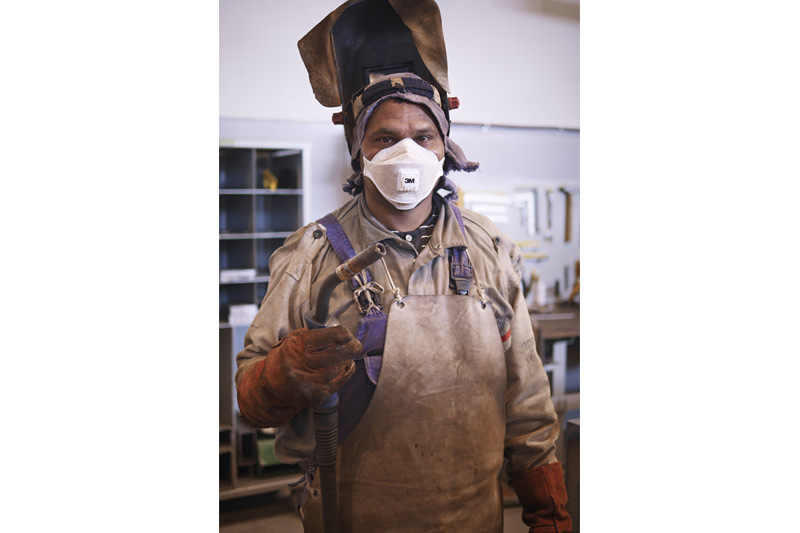 Excellent welding assures long term reliability of machinery for plate bending made by Faccin. 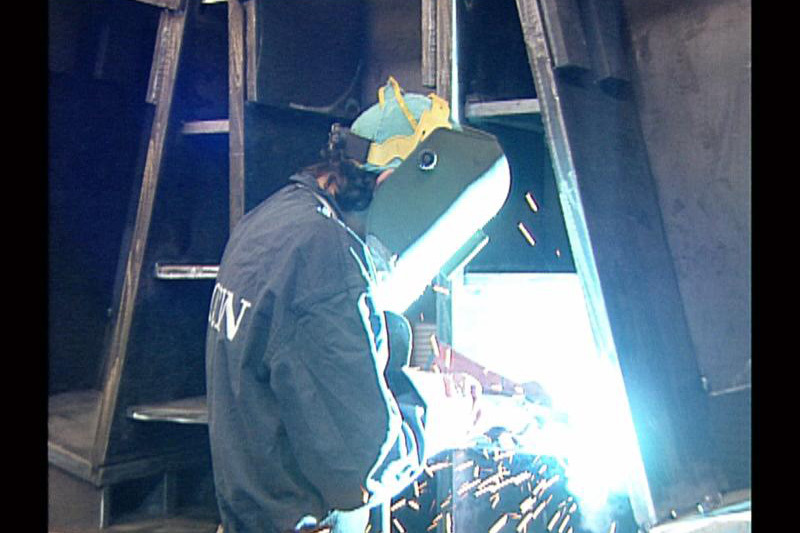 The operators working in this department have many years of experience and carry out welding of structures and pre-assembled frames. 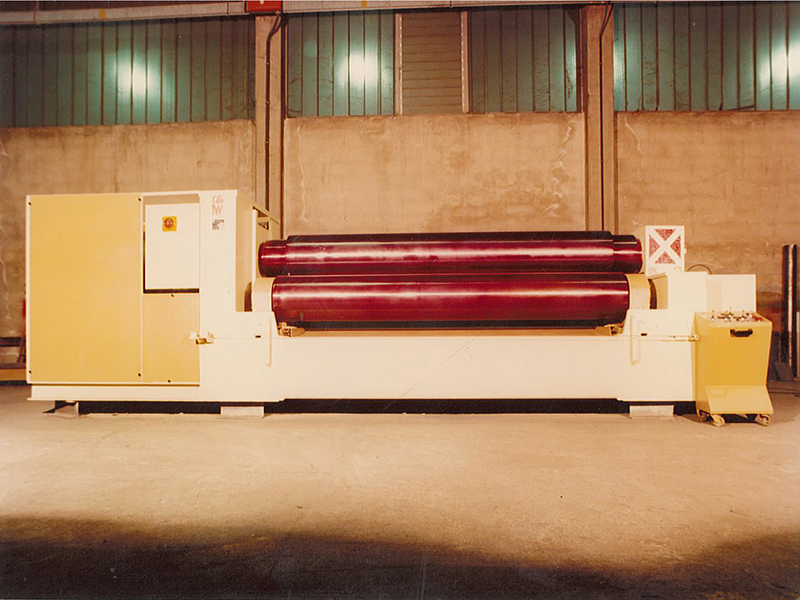 The rolls are essential components of a plate bending roll and are produced by Faccin with the best raw materials certified by chemical analyses and non-destructive testing. 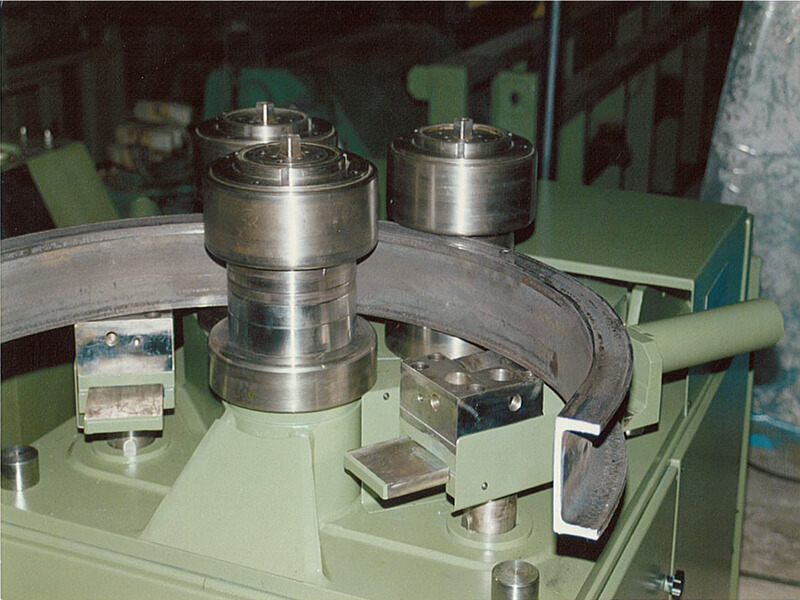 The rolls are machined on modern CNC lathes in order to achieve the suitable camber for the Customer’s specific application needs. 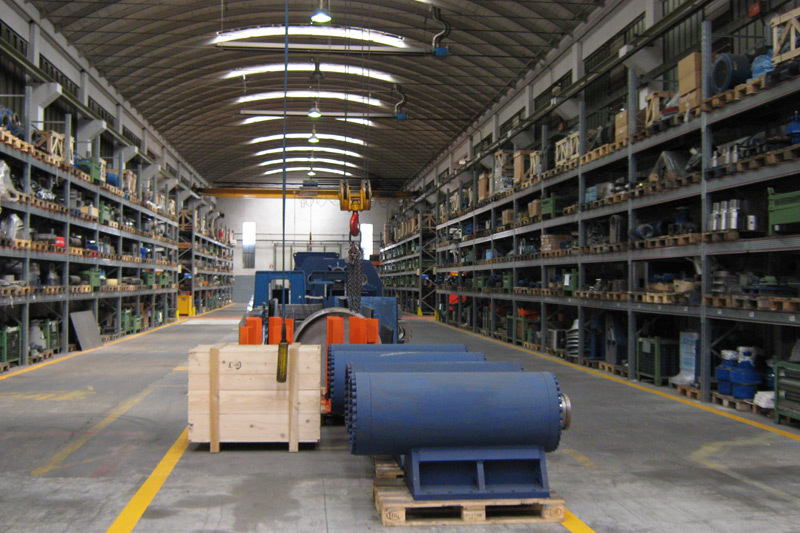 Faccin manages a considerable inventory of hydraulic and mechanical components in order to guarantee the availability of spare parts at all times. 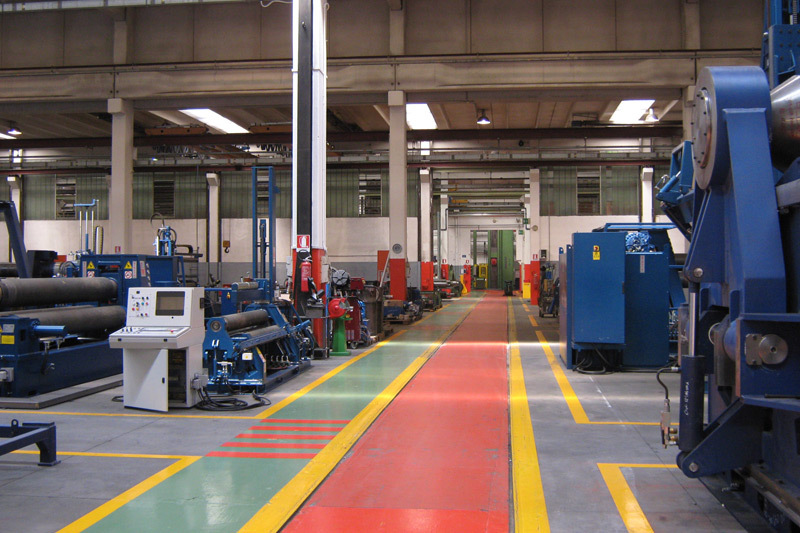 Using an internal ERP-based computer network, the responsible department monitors both the tower storage and all the storage bays of materials located in the production department. 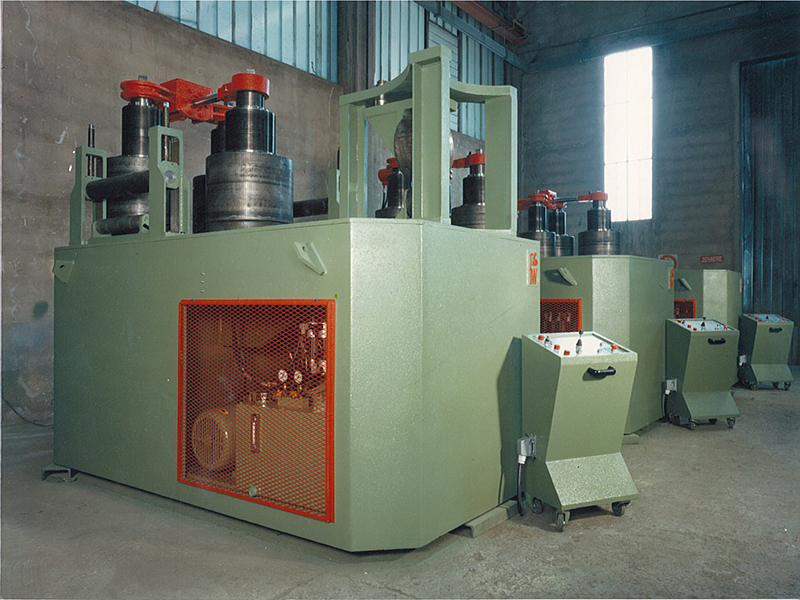 This assures maximum inventory efficiency. 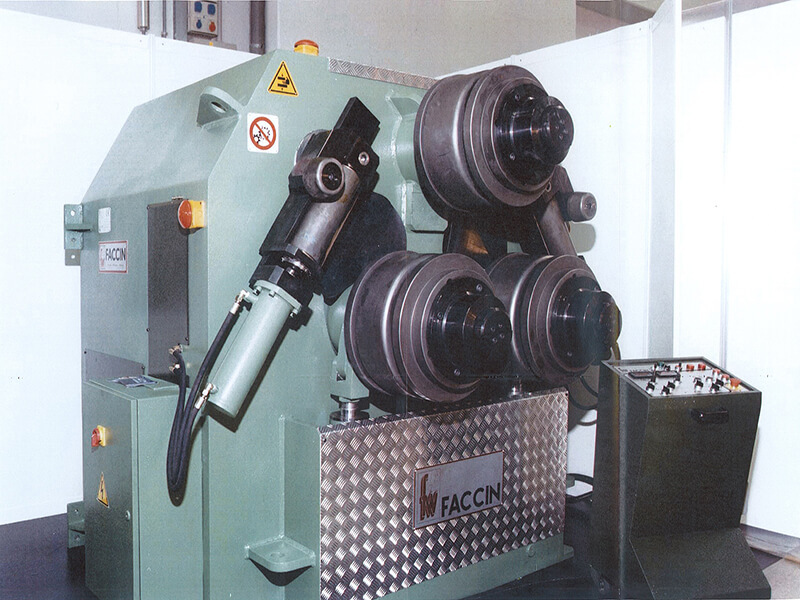 Faccin’s solutions can be viewed and evaluated in detail in the showroom. 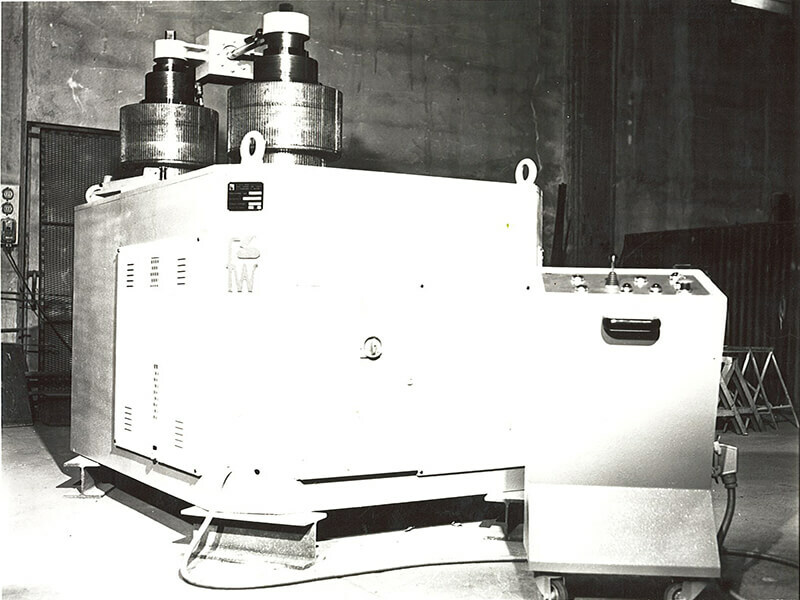 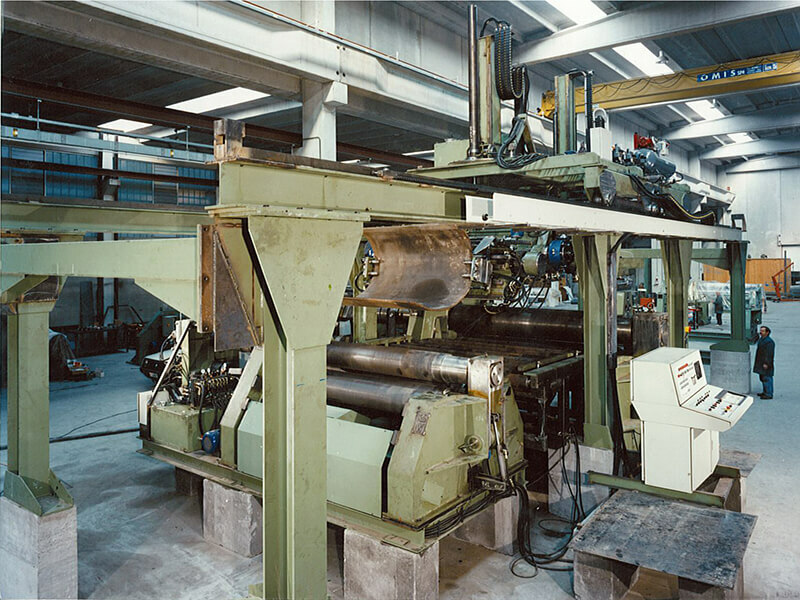 The area features machines to test the rolling capacities of the products manufactured by Faccin. 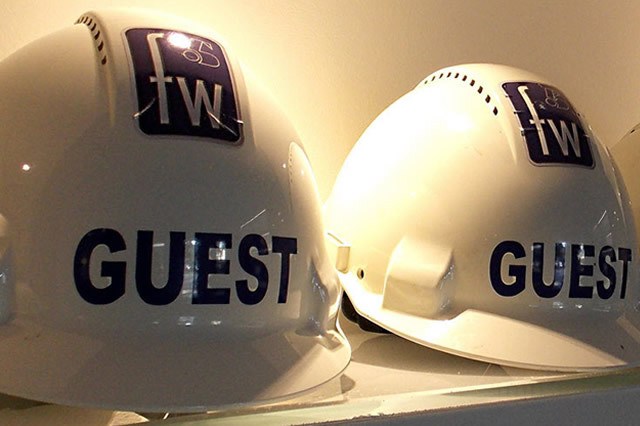 The showroom also features comfortable premises reserved for Customer training. 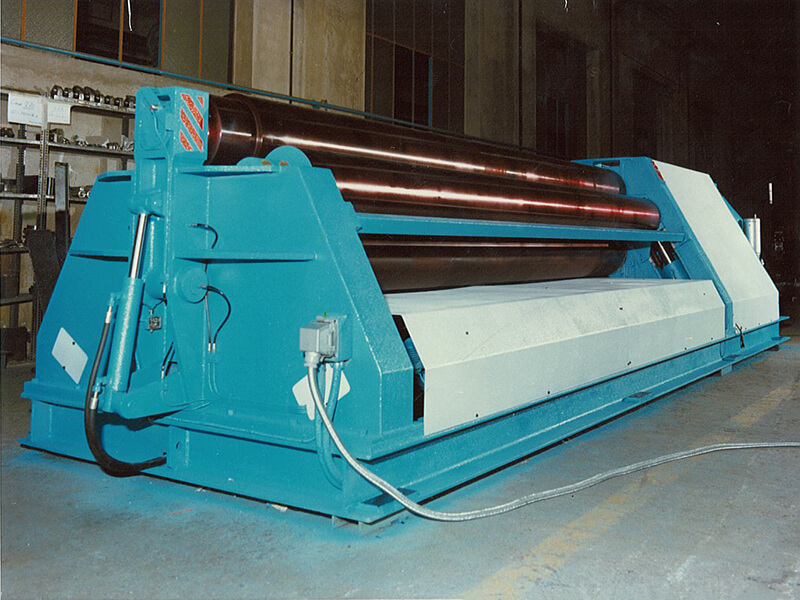 Reliability, soundness and efficiency as well as a marked penchant for technological innovation make Faccin the go-to company in design, manufacturing and sale of plate bending rolls and bending machines. 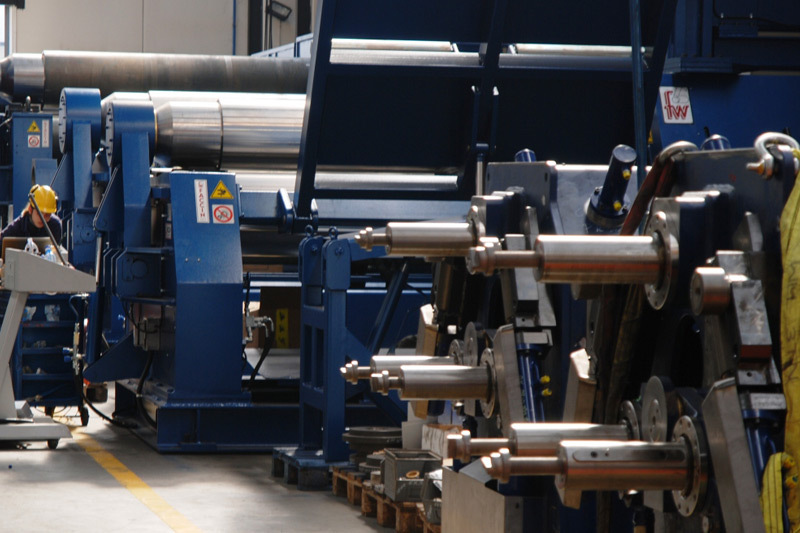 To guarantee the high quality of the whole production, managed within the company and carefully monitored at every stage, Faccin was one of the first manufacturers of bending equipment to achieve already in 2009 the UNI EN ISO 9001:2015 certification. 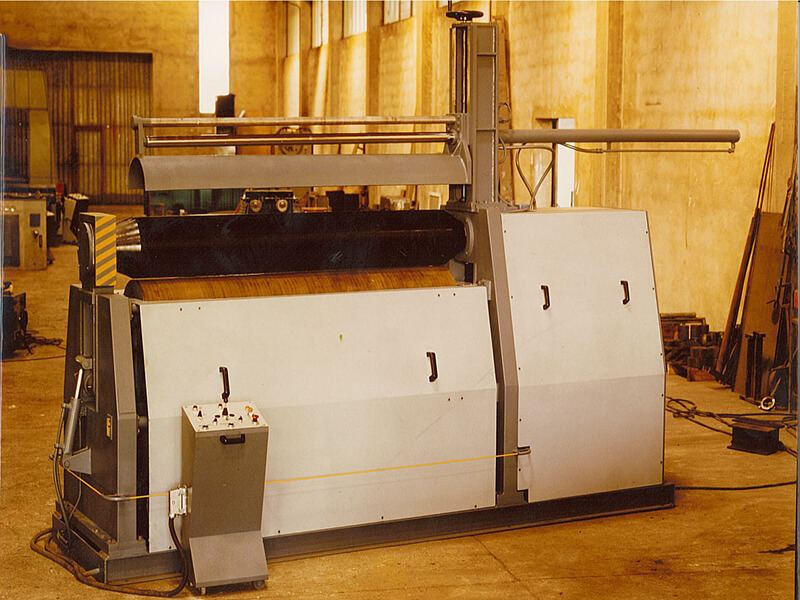 It certifies that the company operates a quality management system certified in accordance with current legislation and assures the strictness of the internal and external checks performed throughout the production process on the machines designed and constructed by Faccin. 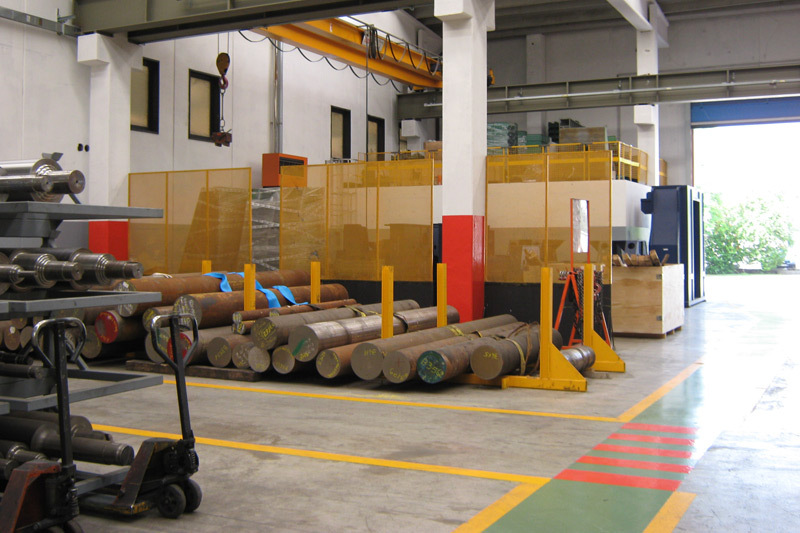 The UNI EN ISO 9001:2015 certification thus assures complete compliance of the services provided by Faccin with legislative requirements, as well as assuring the timeliness and utmost flexibility of the company. 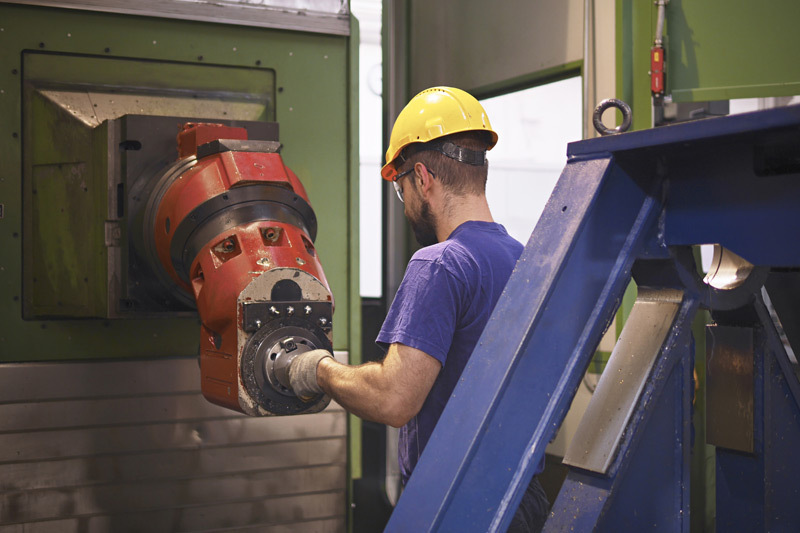 Constantly evolving and always attentive to improving production standards, Faccin is working to obtain ISO 14001 for environmental management. 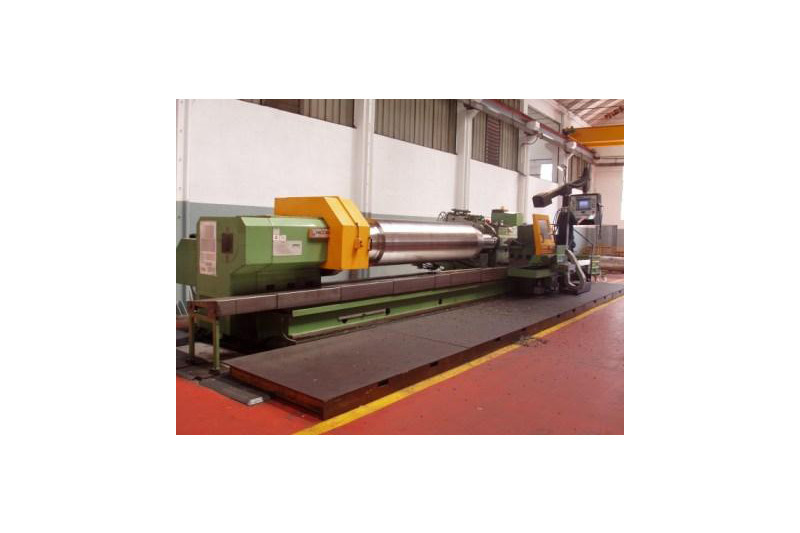 Faccin S.p.A. is one of the world’s leading suppliers of plate bending rolls, angle rolls, dished head production lines and special machines for steel bending. 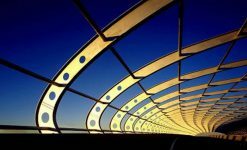 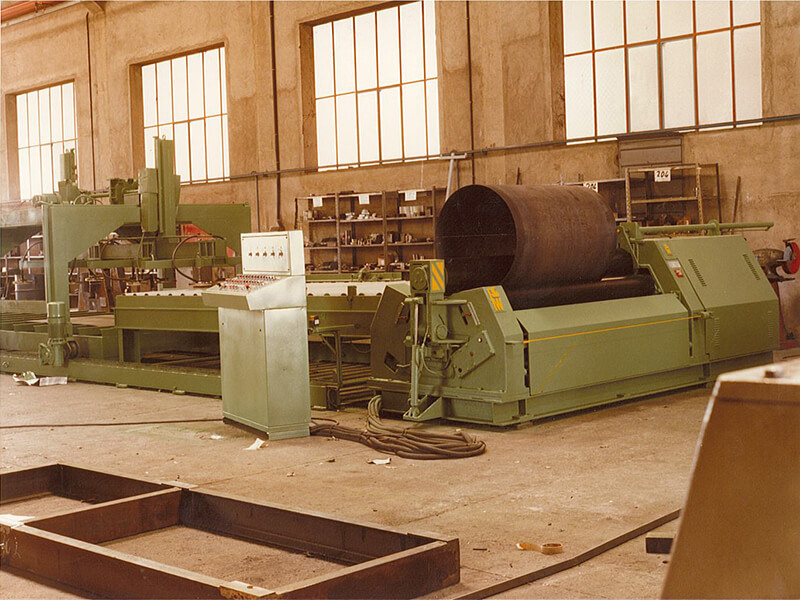 Design and construction of the machinery are carried out in the facility of Visano (BS), the largest plate bending rolls production facility in the world. 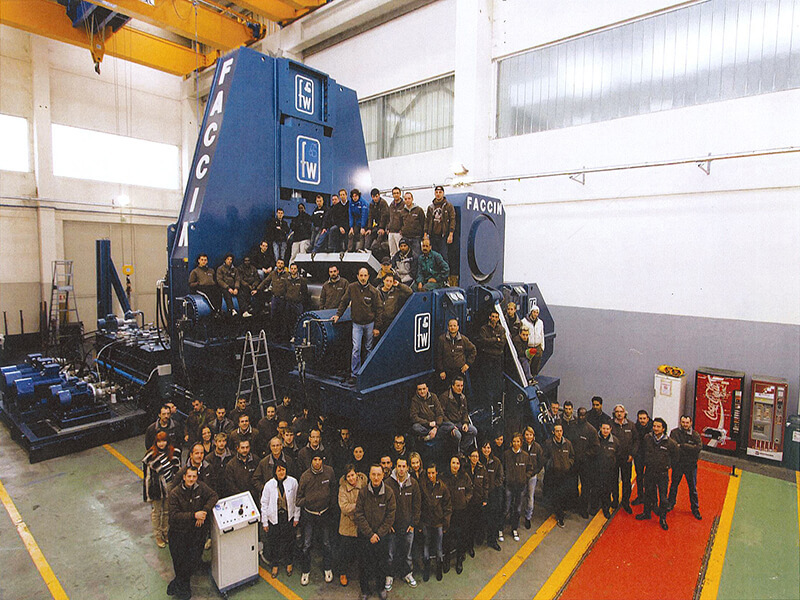 Faccin assures a worldwide sales and aftersales service through an extensive network of agents and branches in 5 countries. 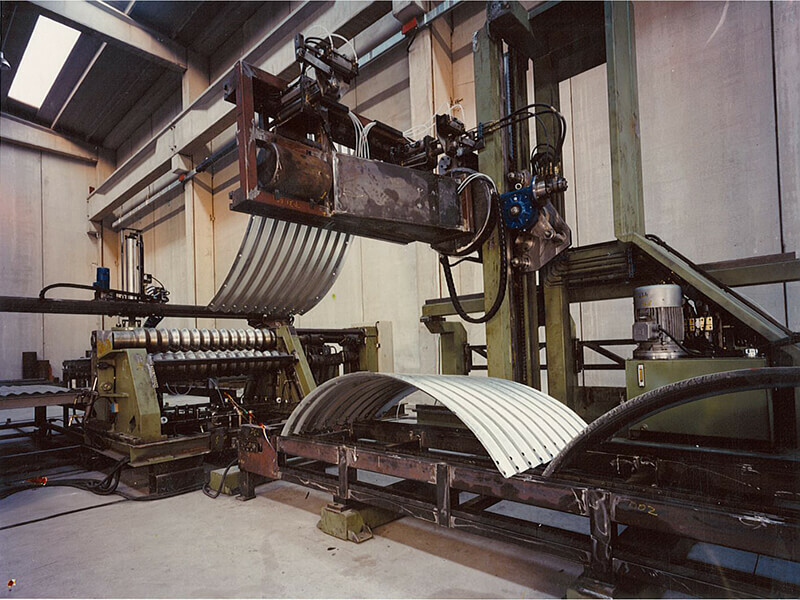 Faccin Deutschland has been one of the leading companies supplying plate bending rolls to the German market for over 20 years. 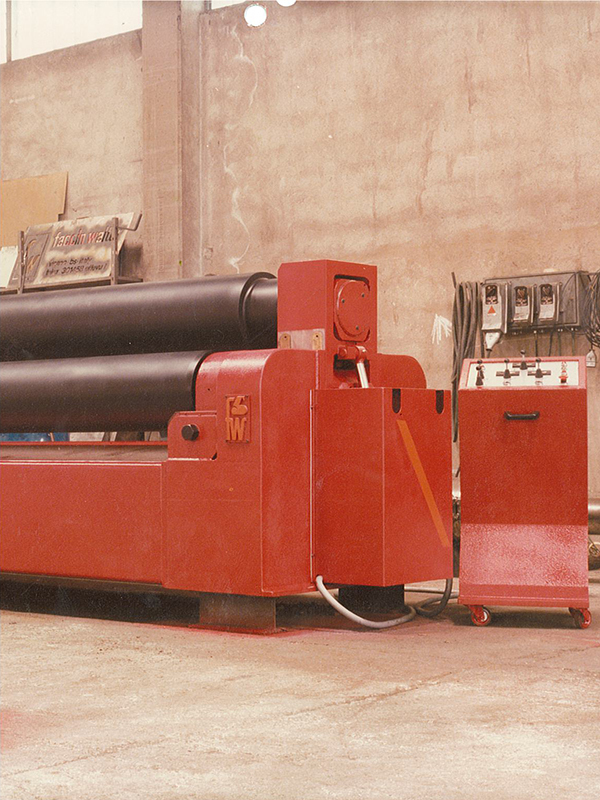 Thanks to careful management over the years by the Gusdorf family and to the work of a highly competent team, Faccin’s German subsidiary offers technical advice in choosing the best solution. 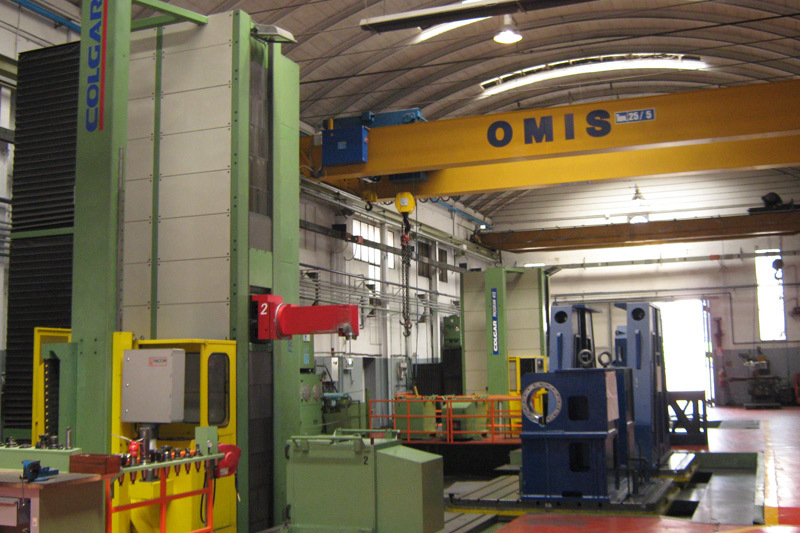 In addition, it is able to satisfy every need of Customers in Germany with a thorough after-sales support service. 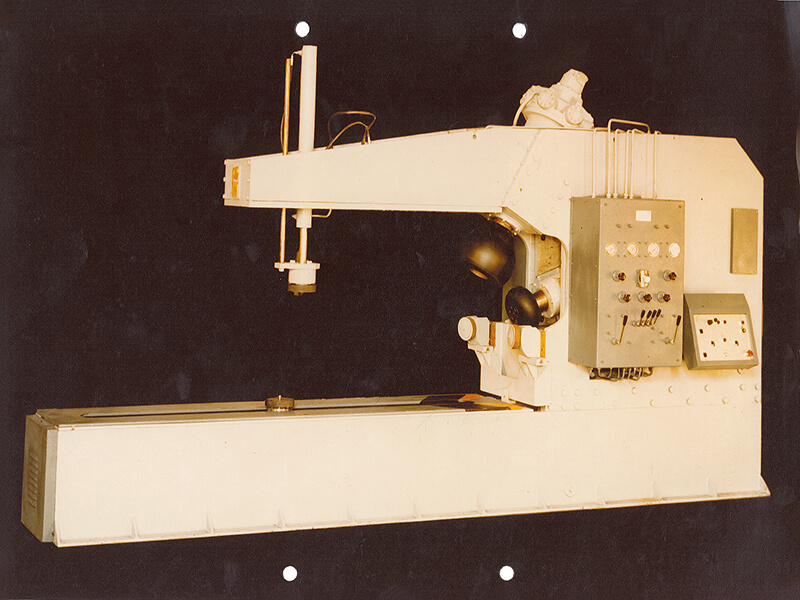 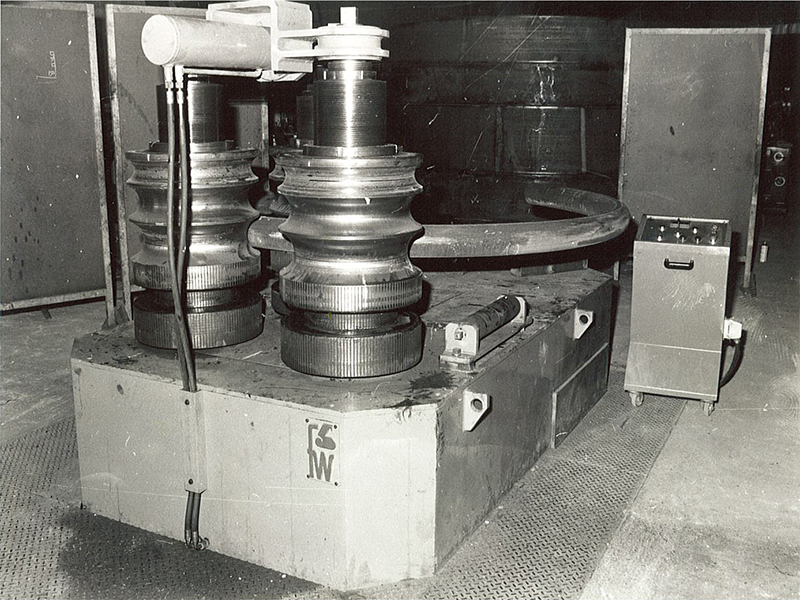 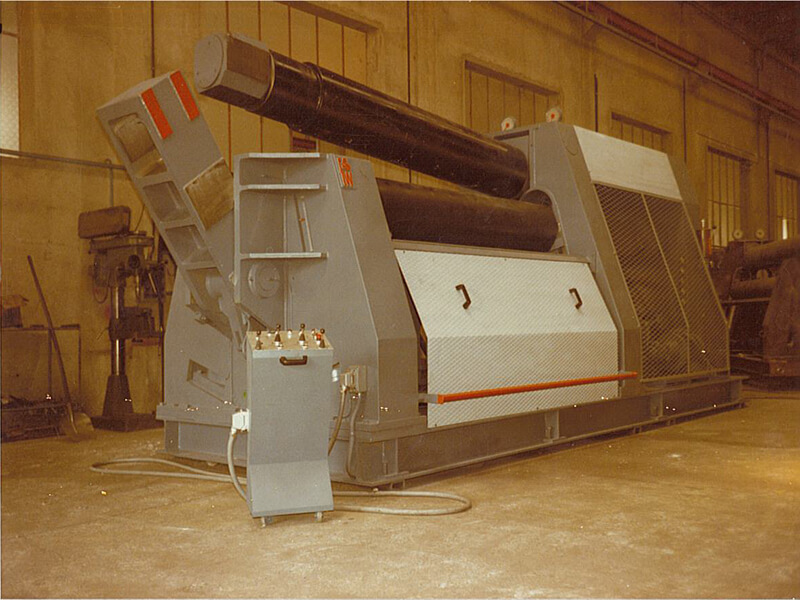 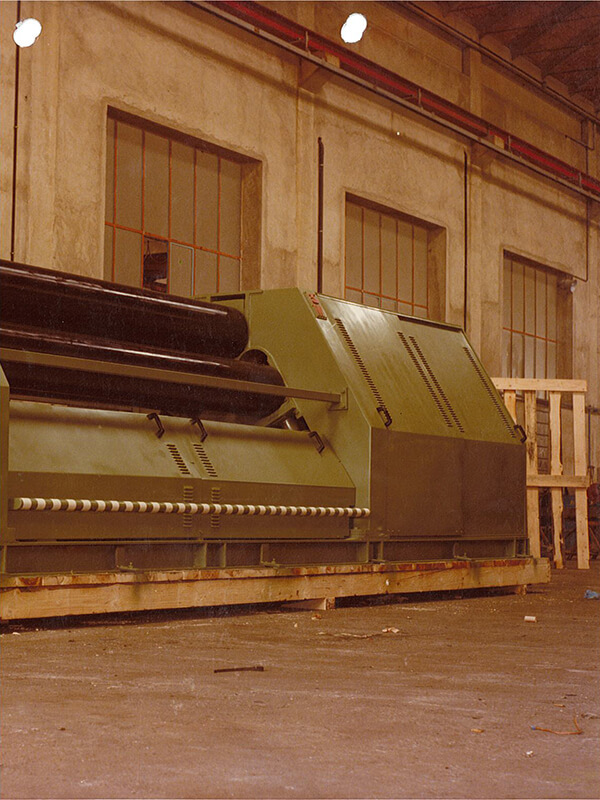 In 2003, after an initial period of cooperation with some of the best known importers of machine tools in the U.S. market, Faccin was the first European manufacturer of plate bending rolls to found its North American branch, in Tampa, Florida. 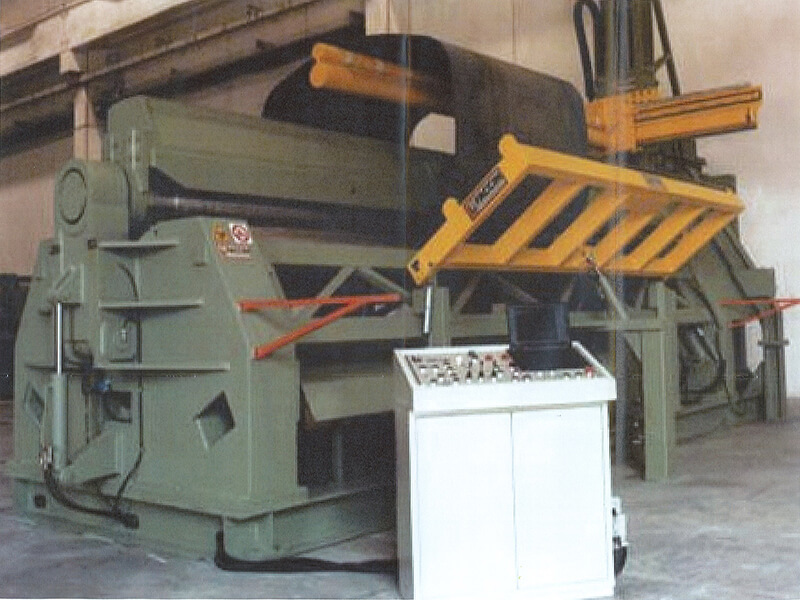 Here there are showrooms and offices, while the two distribution centres with machines in stock are located in Houston (Texas). 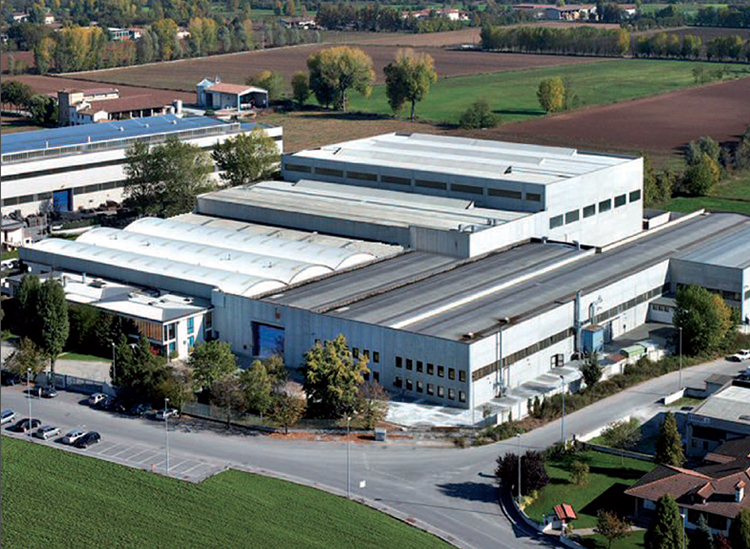 The Head Office of Faccin S.p.A. is located in Visano, in the Brescia province. 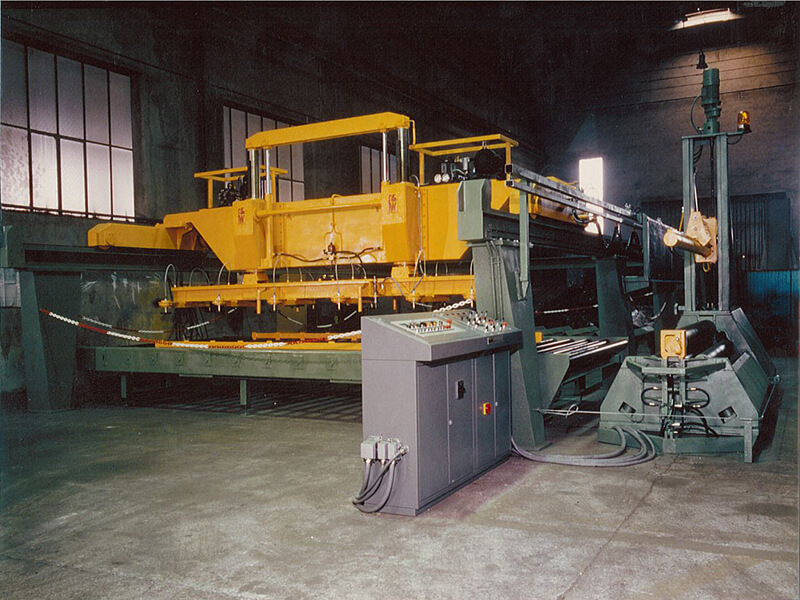 The facility handles the entire production process, from design of bending machines to complete production and assembly up to final testing. 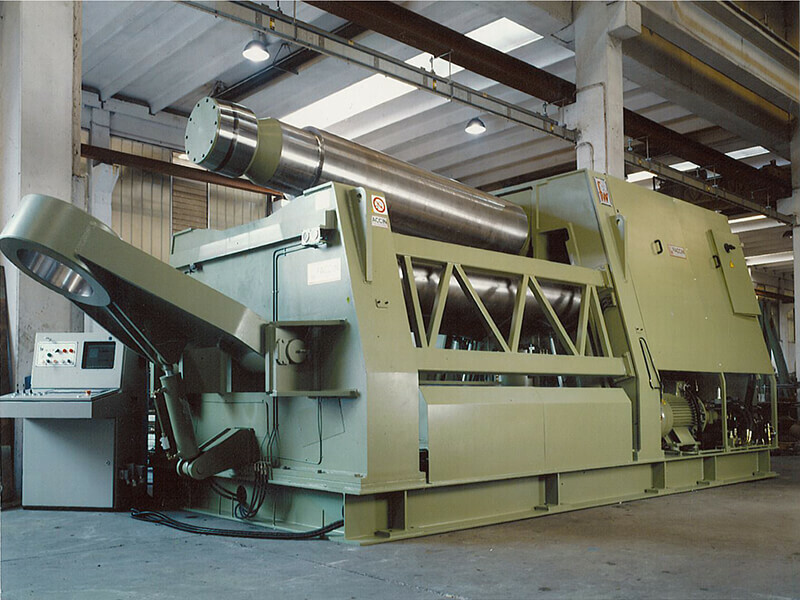 Efficiency, reliability and the team’s many years of experience guarantee the supply of high performance and high quality machinery and solutions. 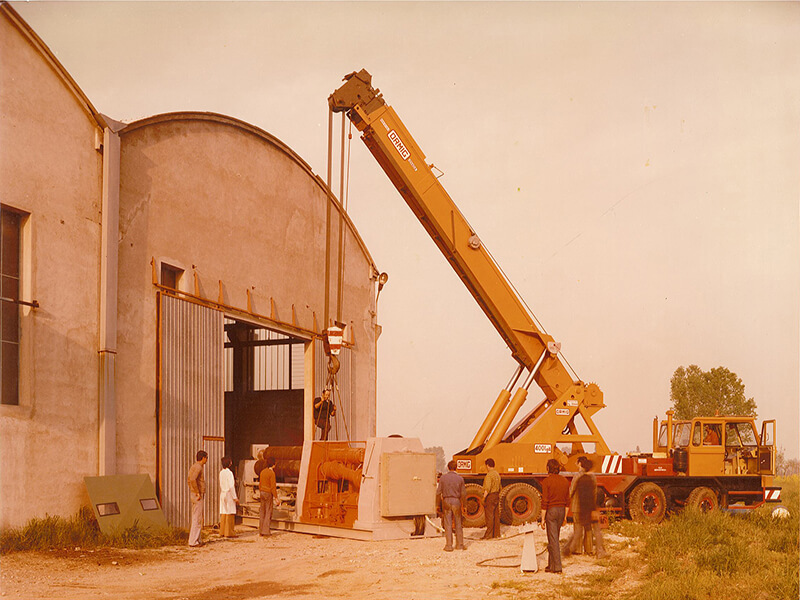 Faccin’s headquarters in Spain is an important landmark in the Spanish and South American market for consultancy and supply of bending machines. 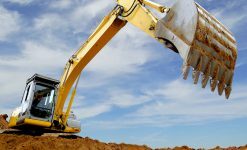 A team of experts with many years of experience in the field is available to address and meet any of the Customers’ needs. 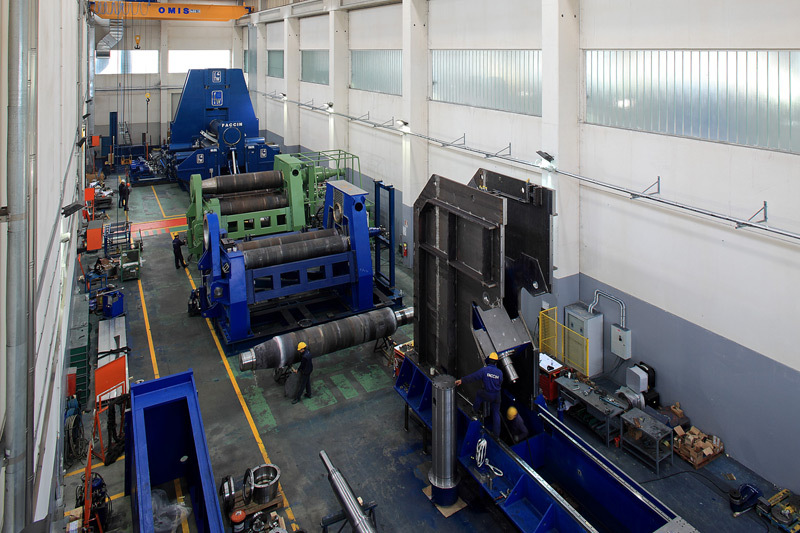 In cooperation with a motivated team of experts in machine tools, Faccin has opened its branch in China with the aim of providing consultancy on proposed solutions, supporting the growth of local customers by supplying high-quality machinery. 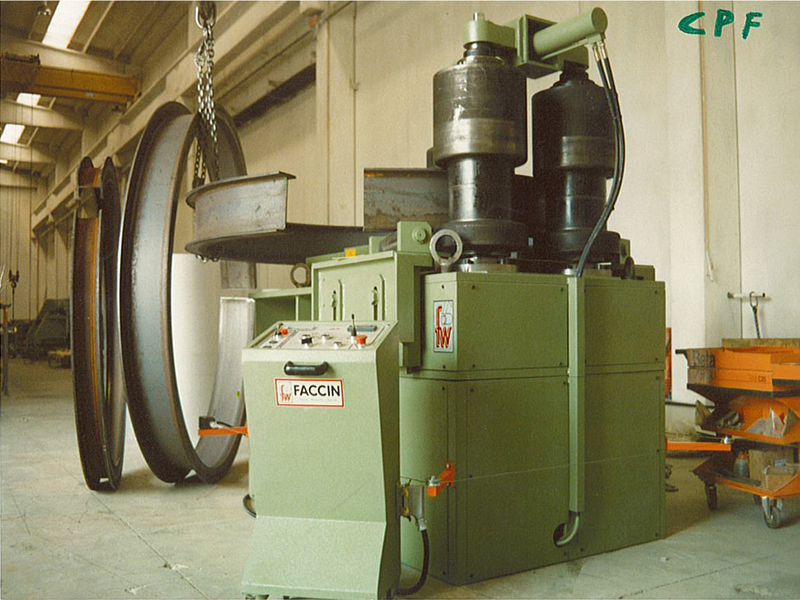 Faccin China offers purchase consultancy as well as after sales service. 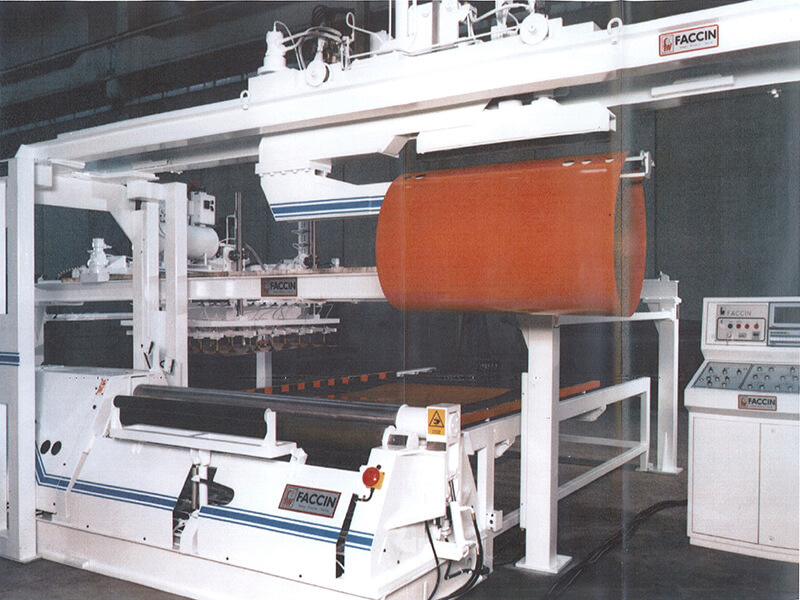 On the Chinese market, Faccin supplies high quality bending machines able to meet the most diverse production requirements. 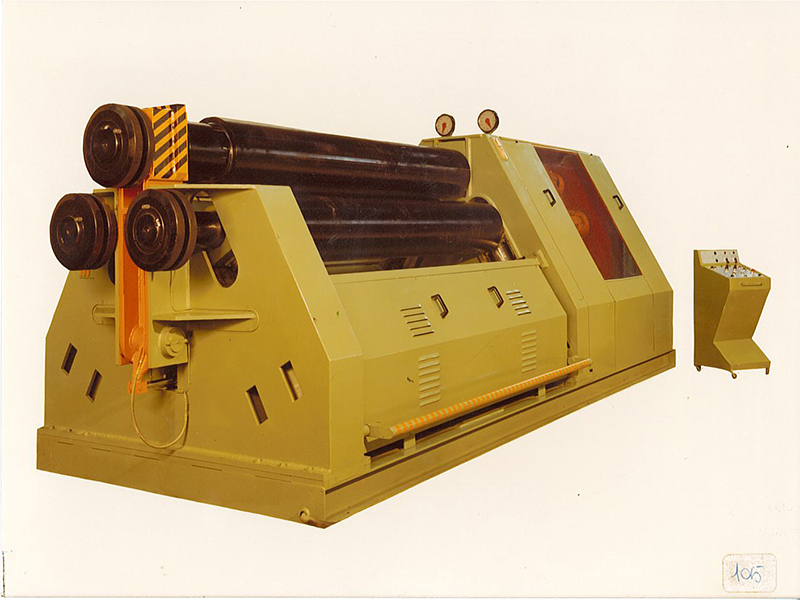 Chinese customers can take advantage of Chinese language information and documentation, in addition to detailed quotes usually provided within 24 hours.